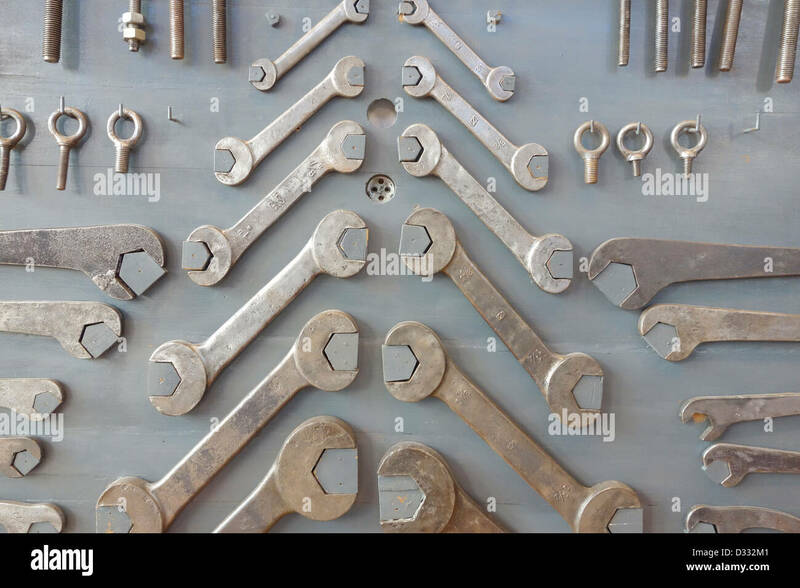 Wrench Jaw Spanner Tools Piled on workshop table. 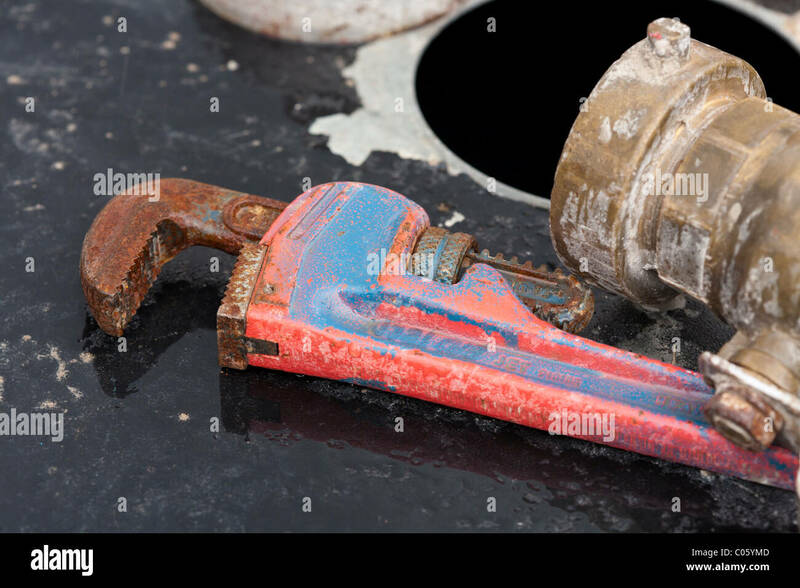 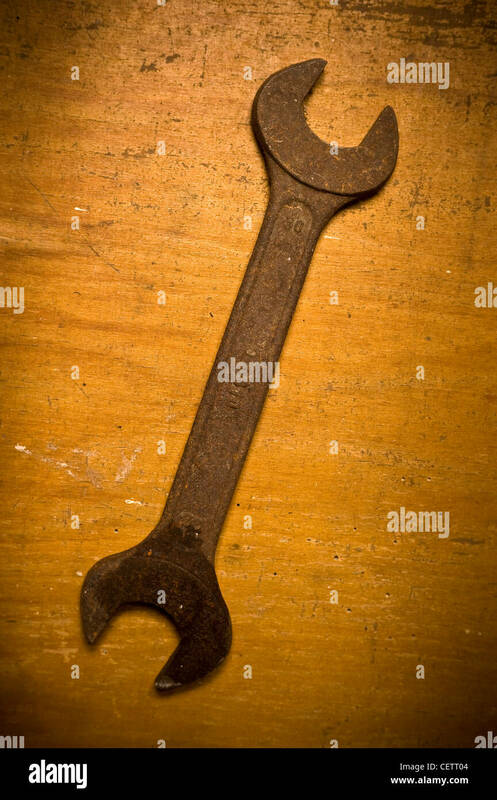 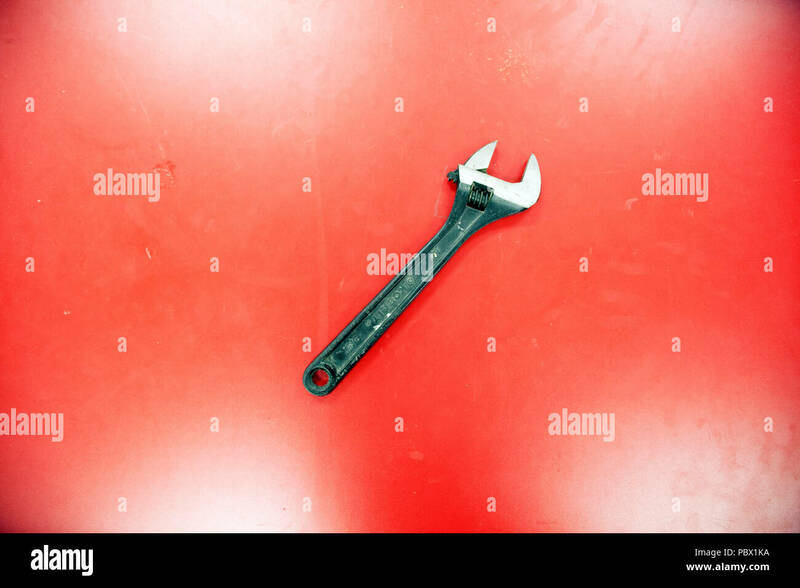 Rusty spanner on a plane white background. 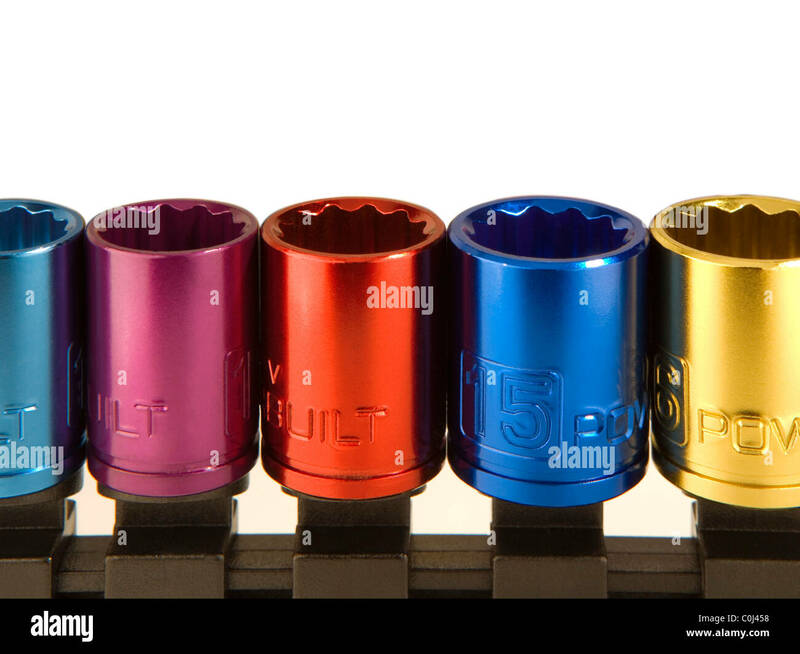 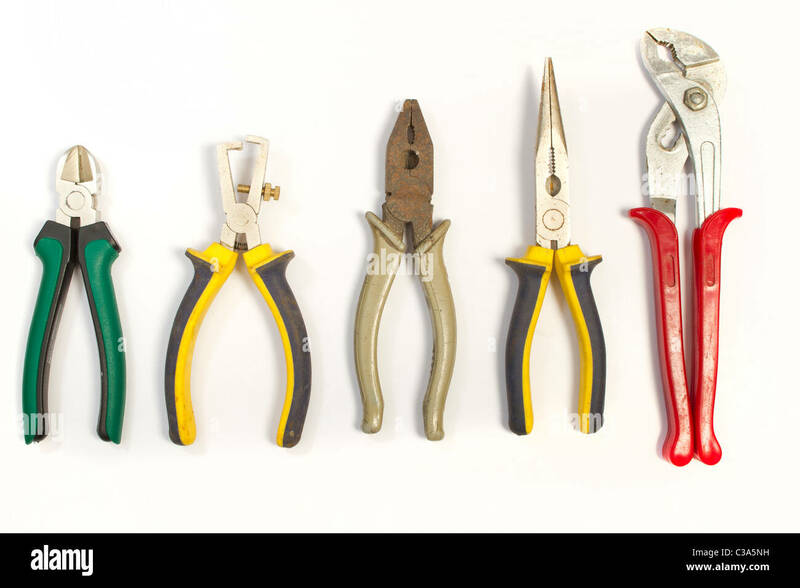 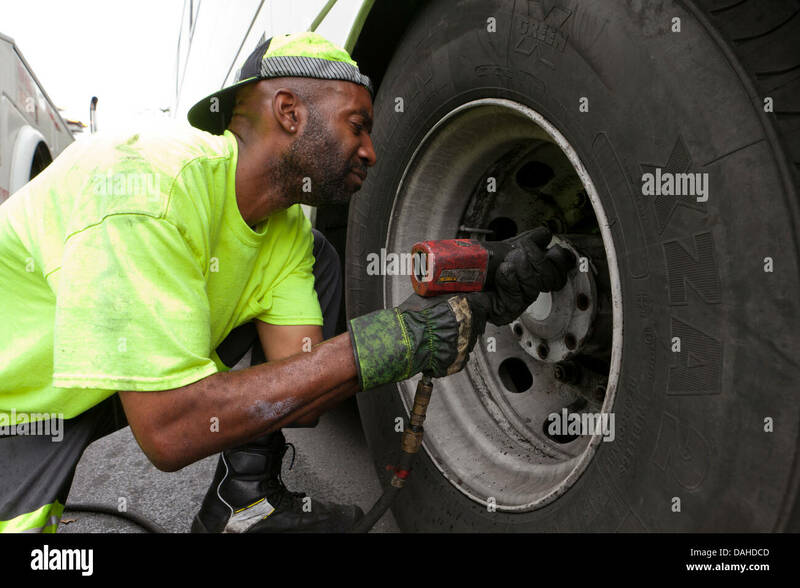 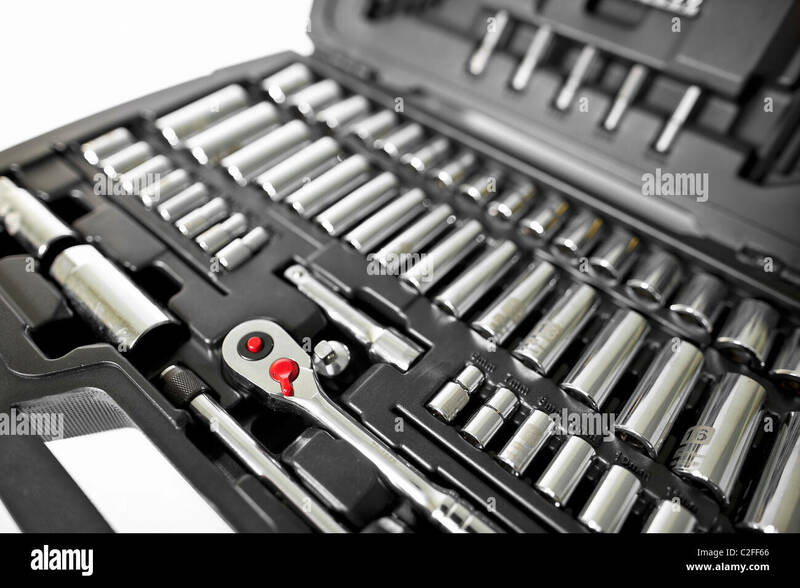 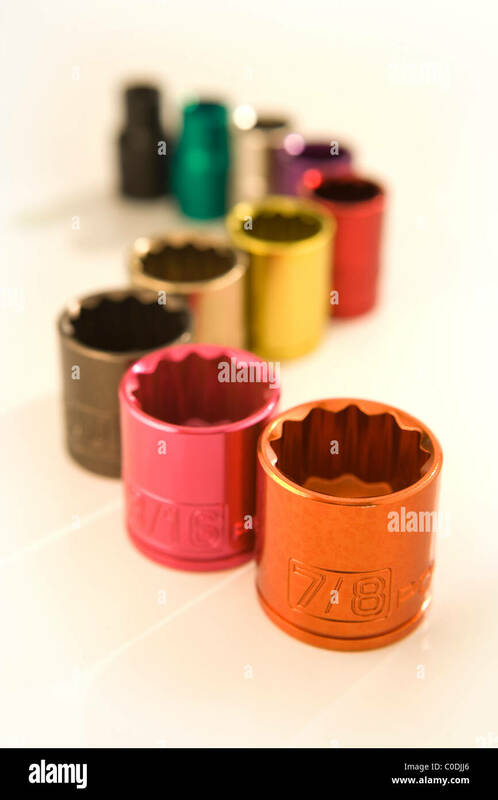 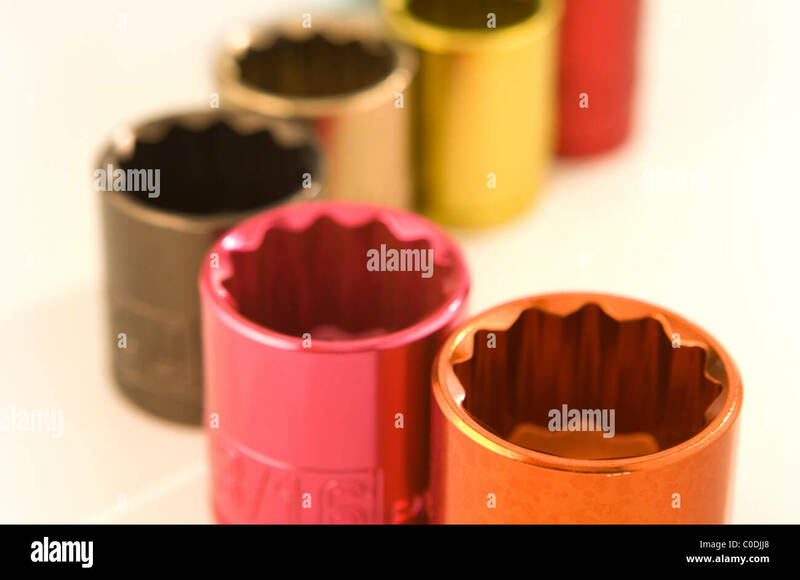 Socket wrench set in case. 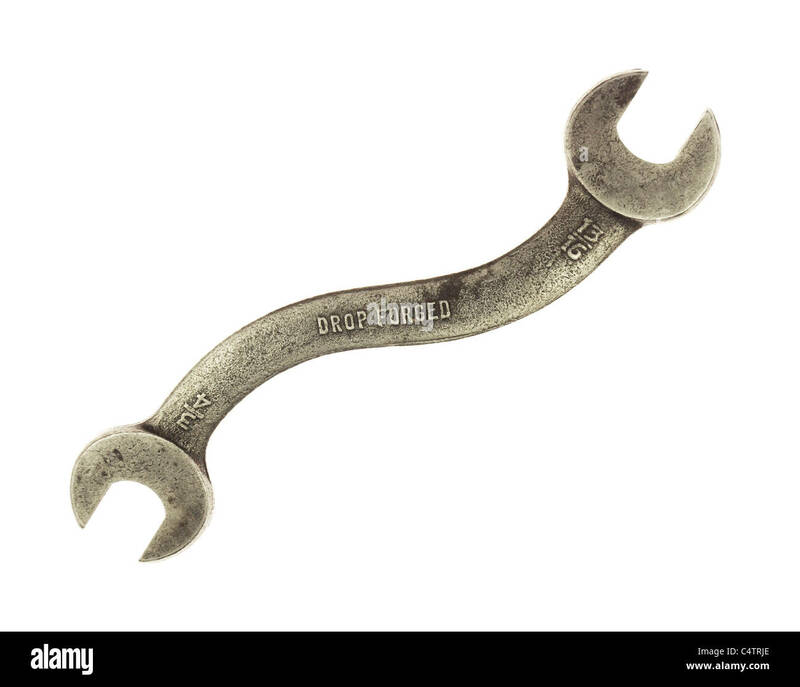 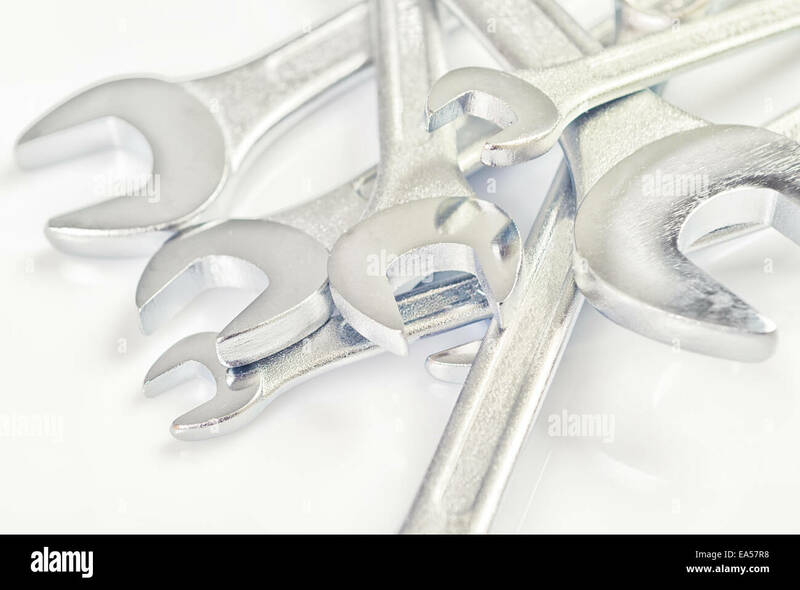 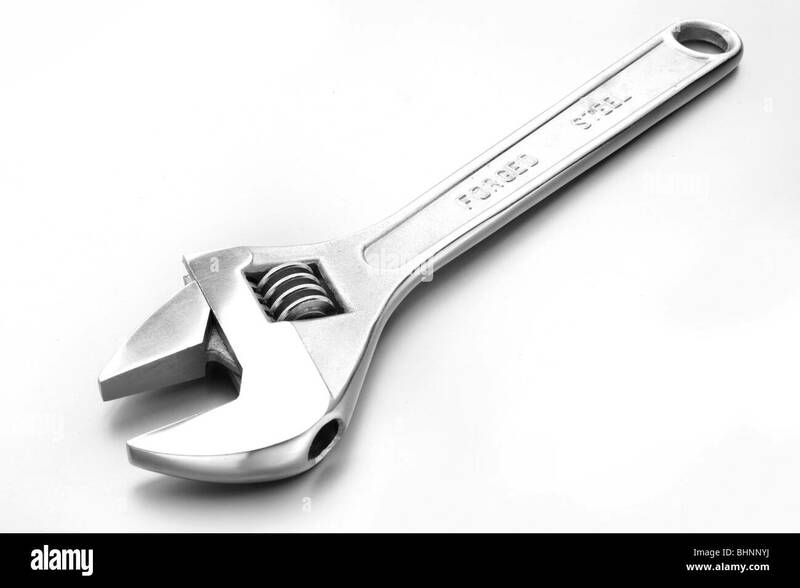 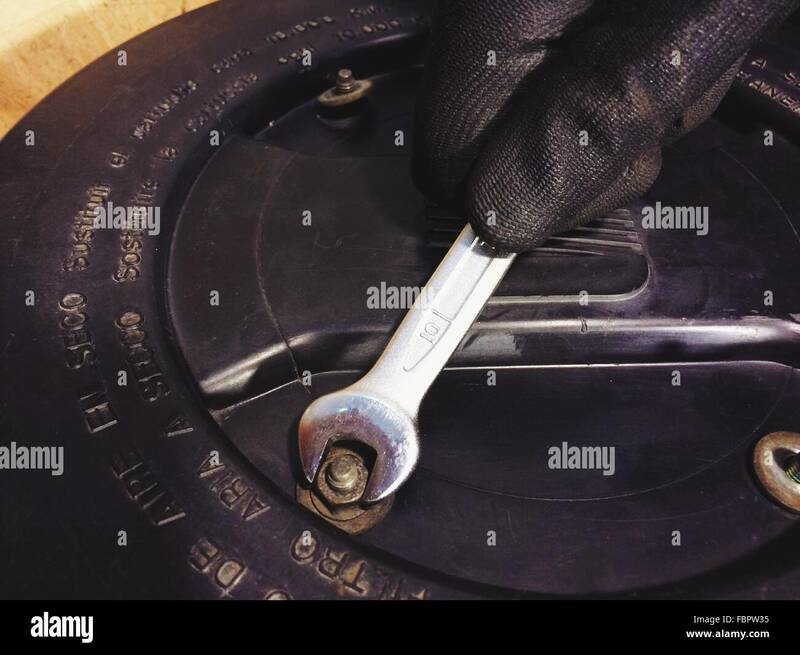 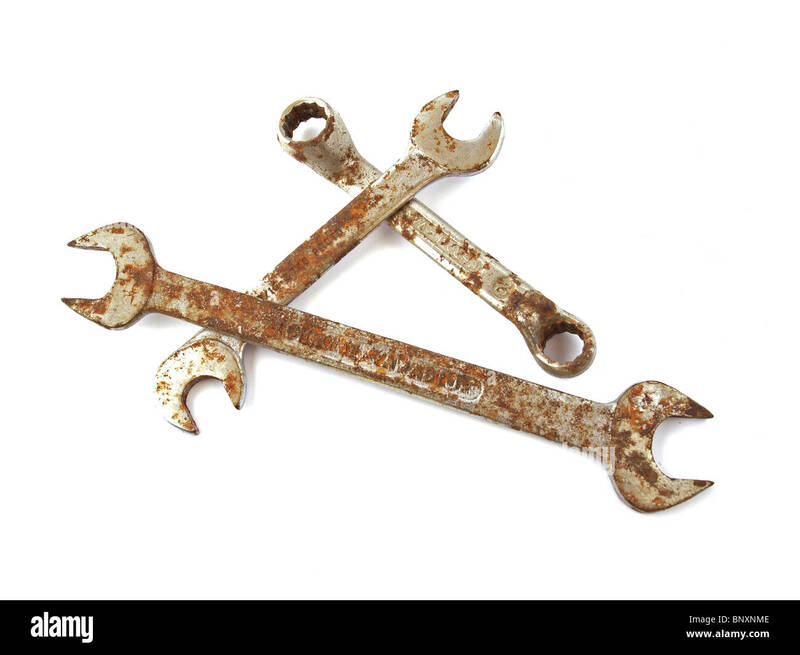 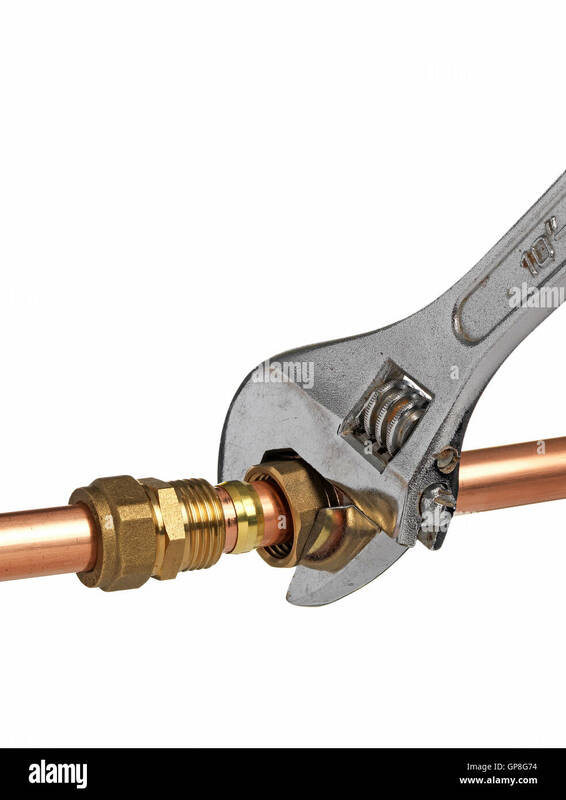 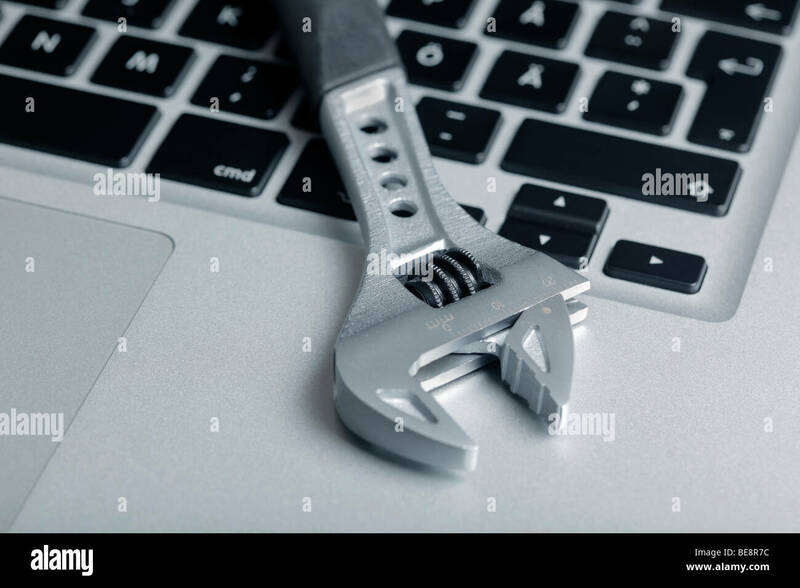 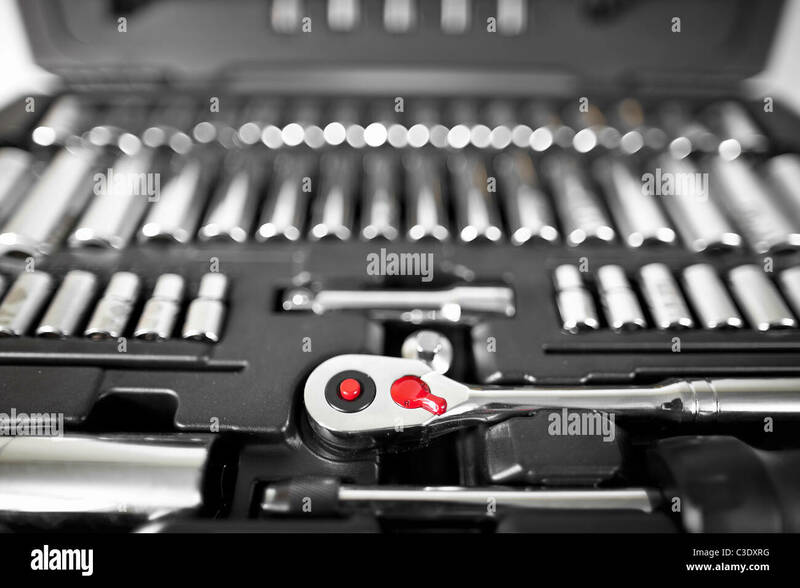 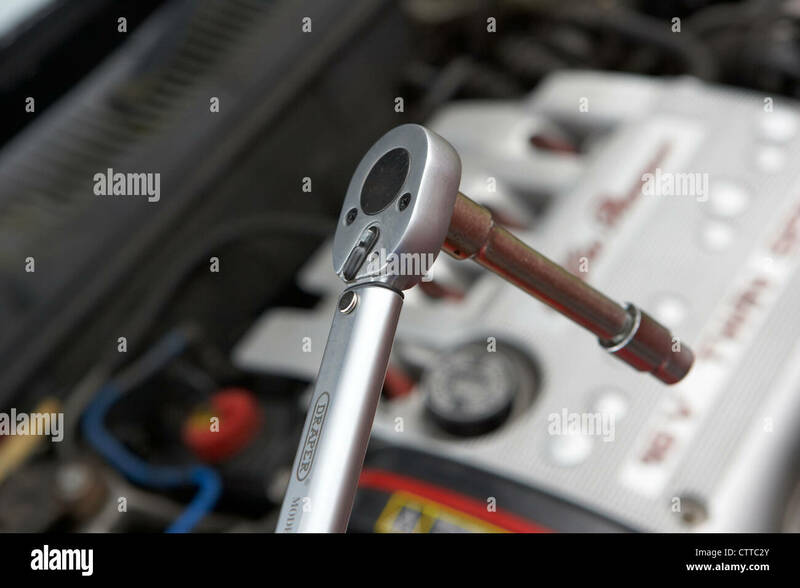 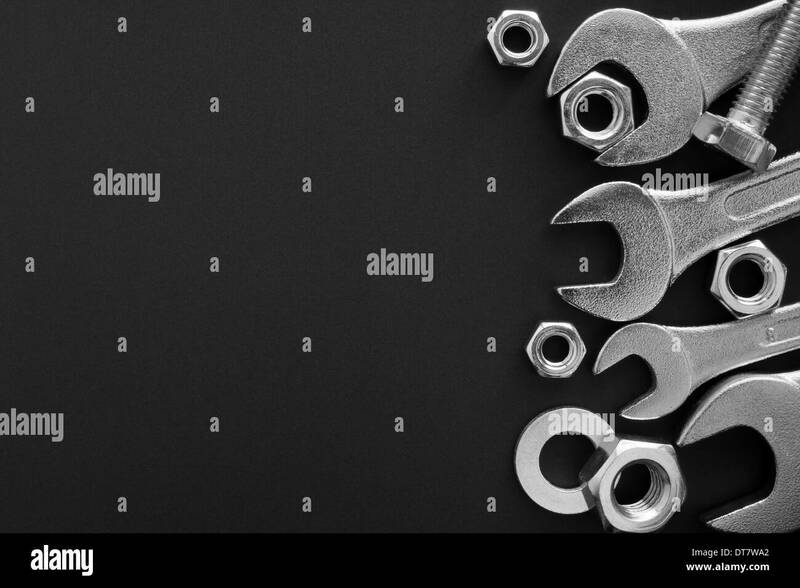 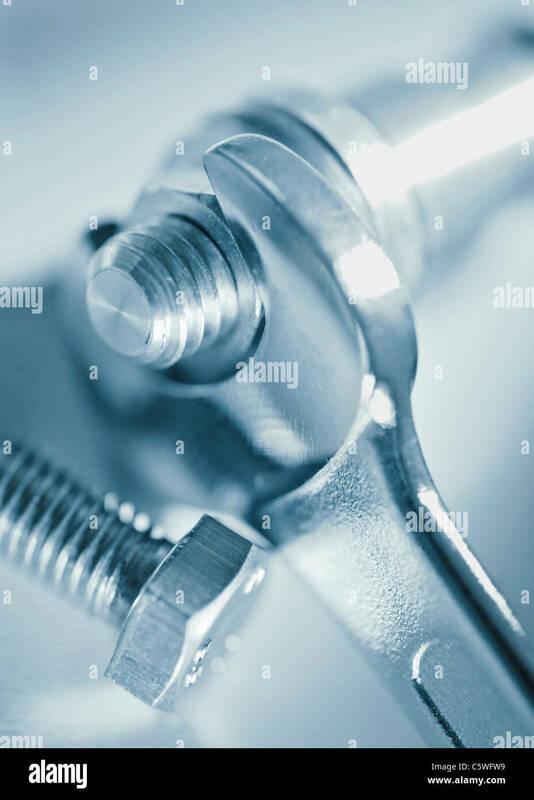 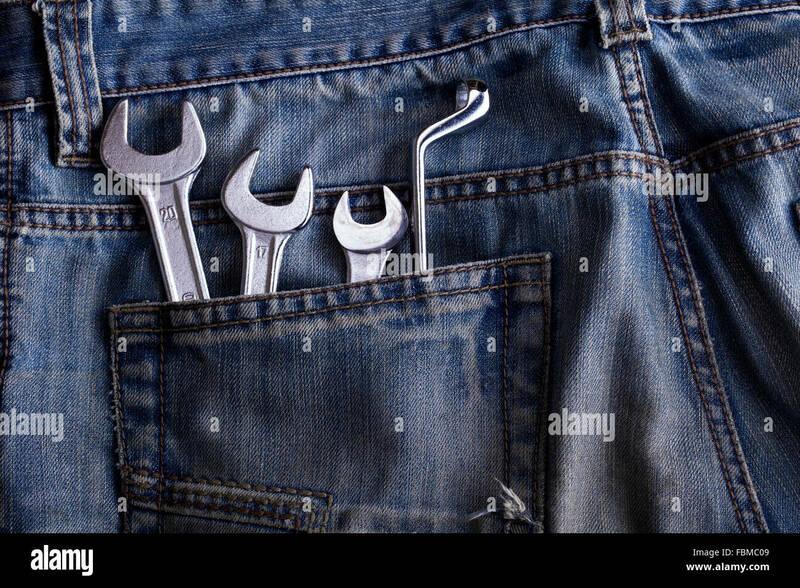 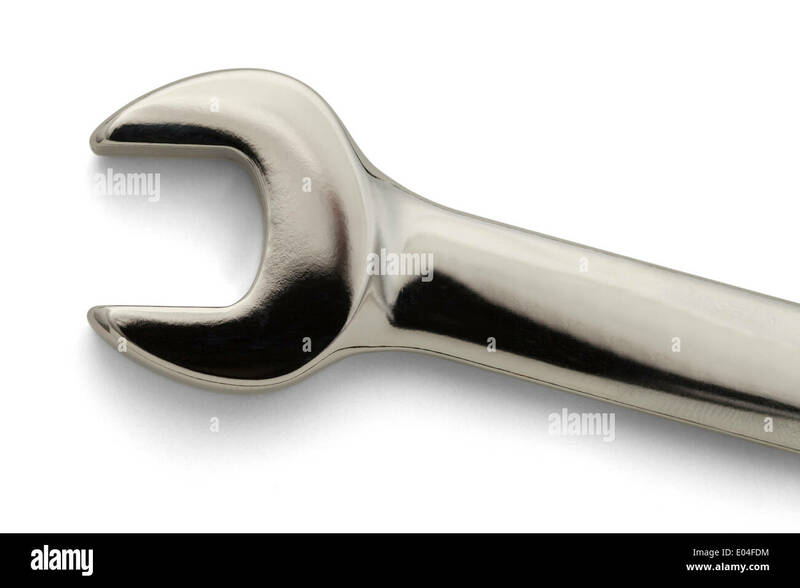 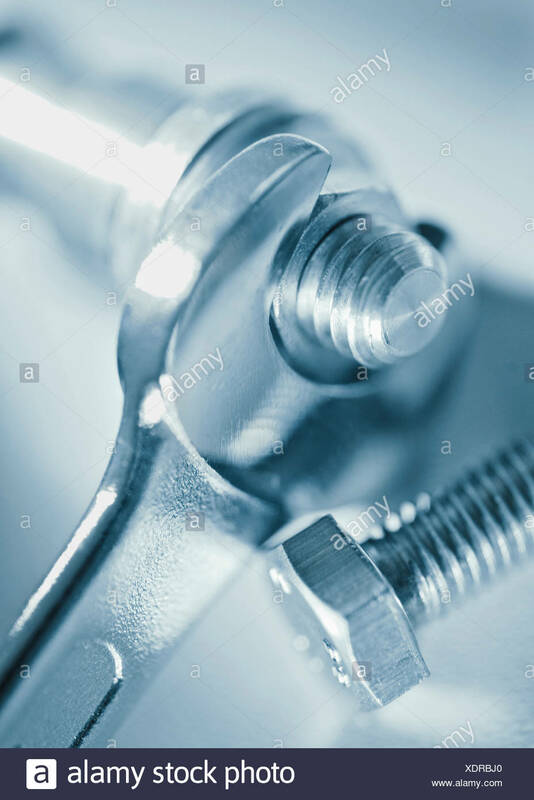 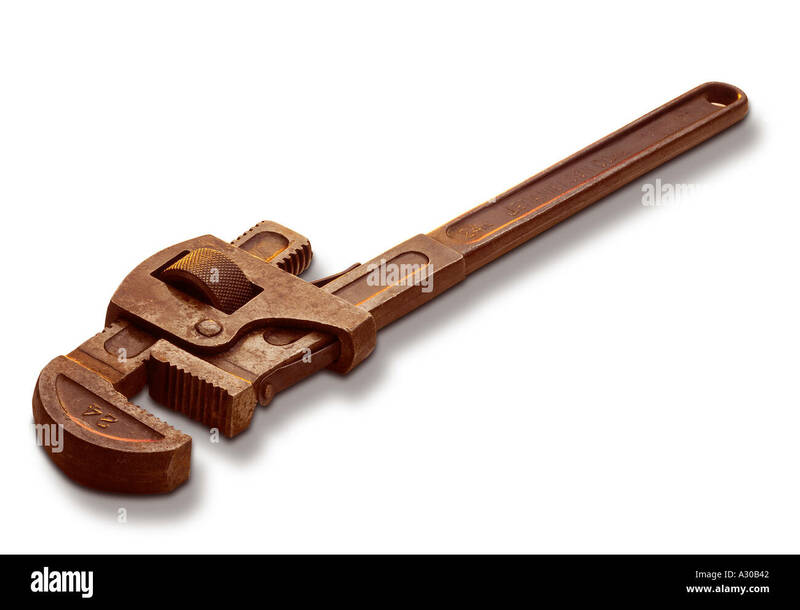 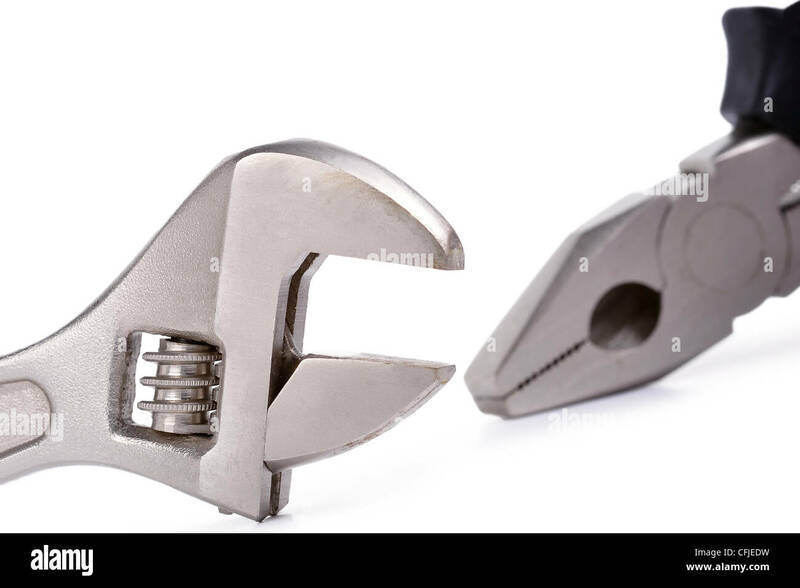 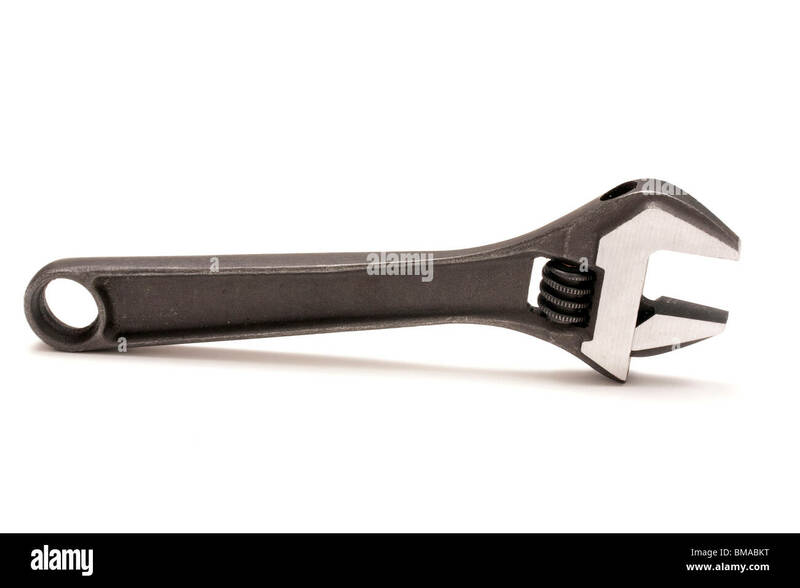 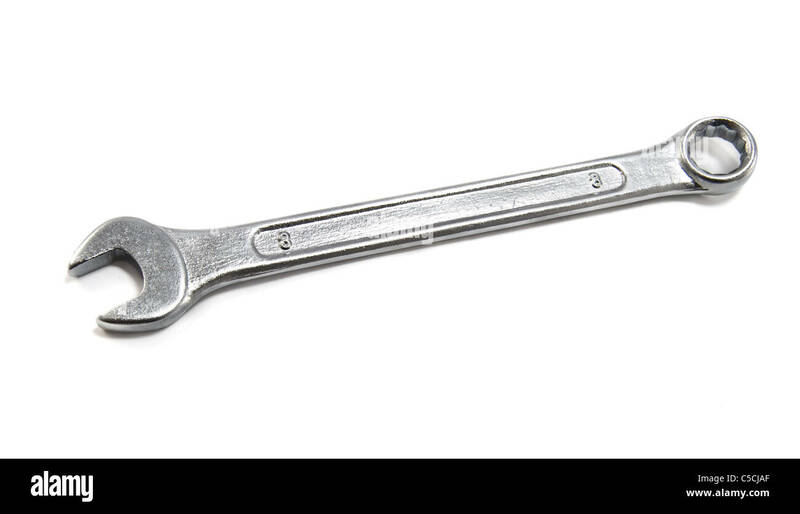 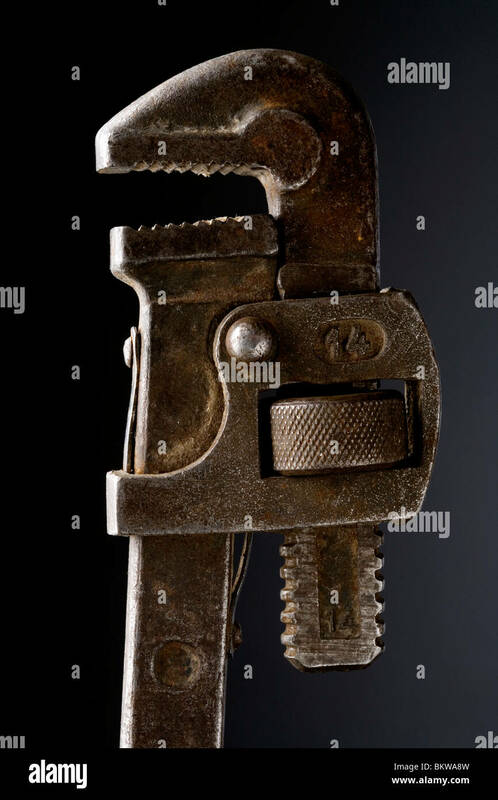 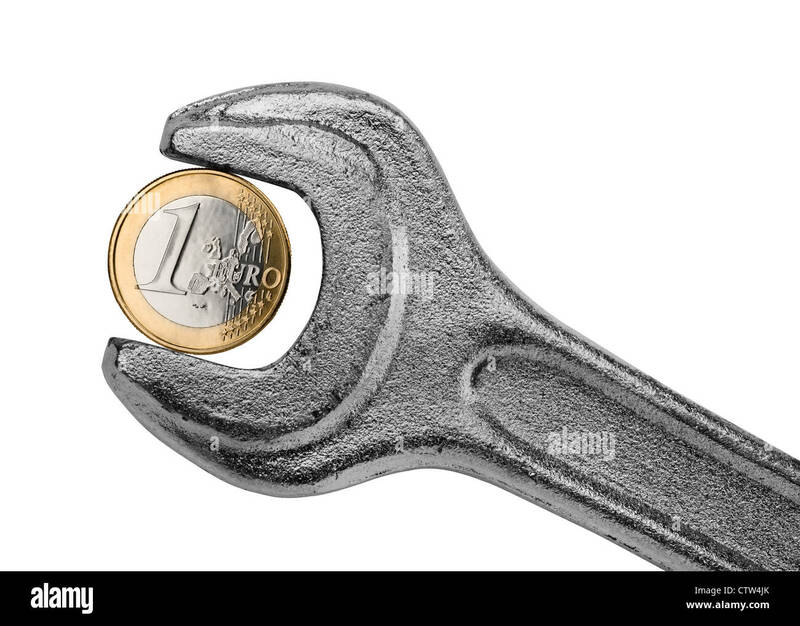 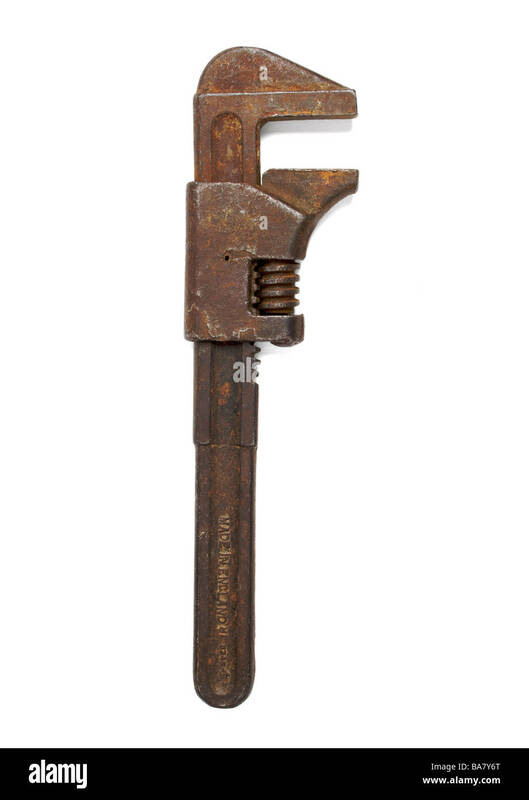 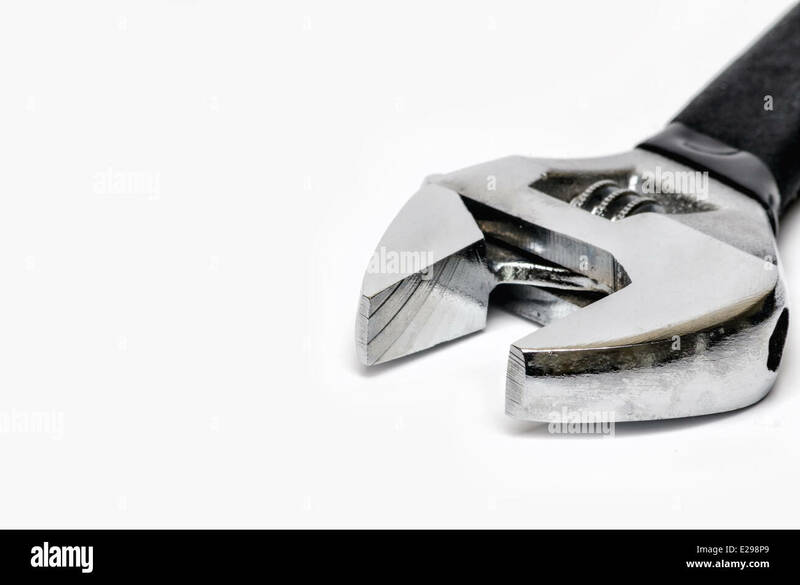 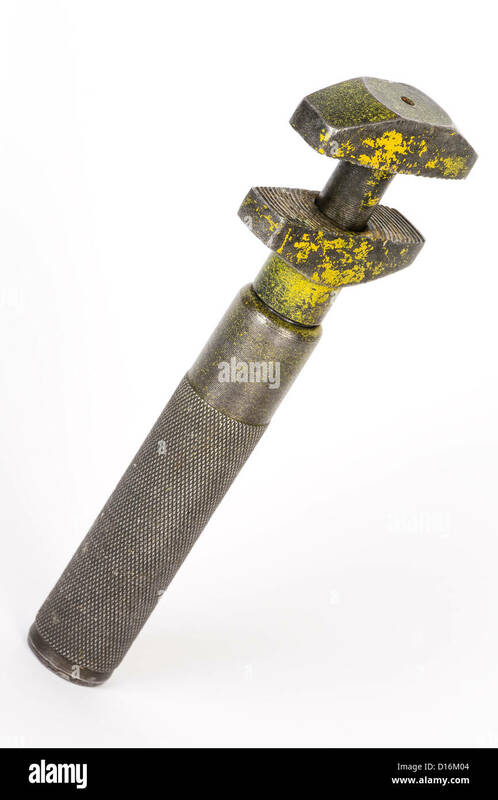 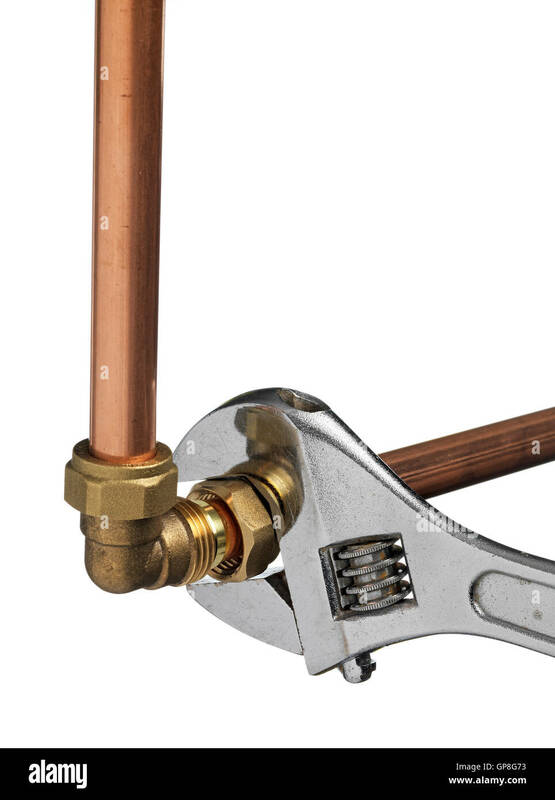 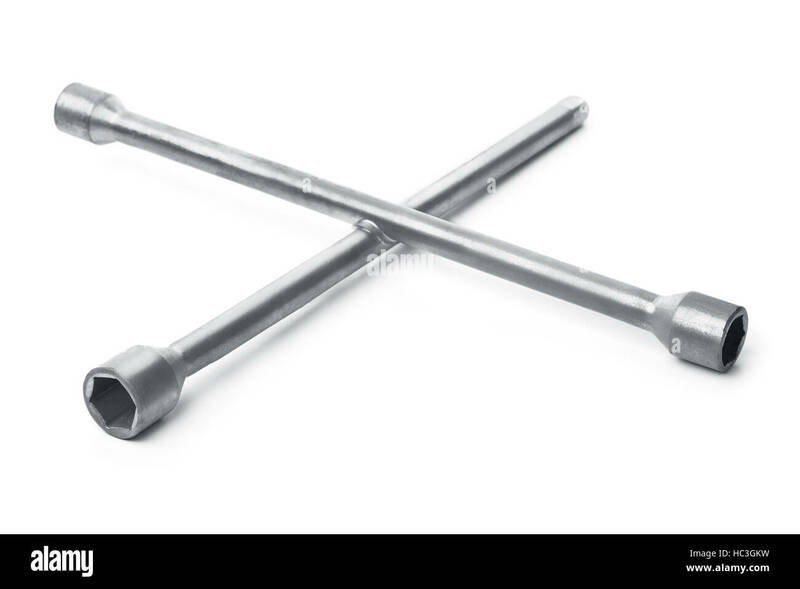 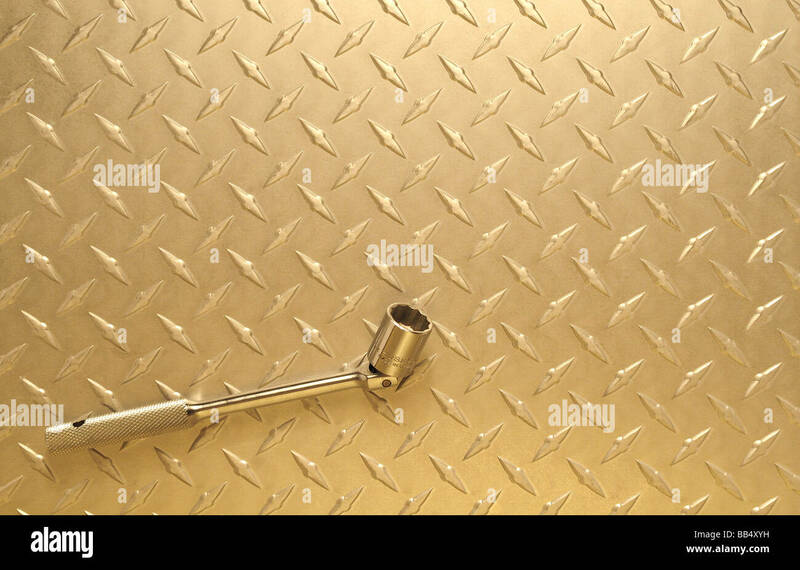 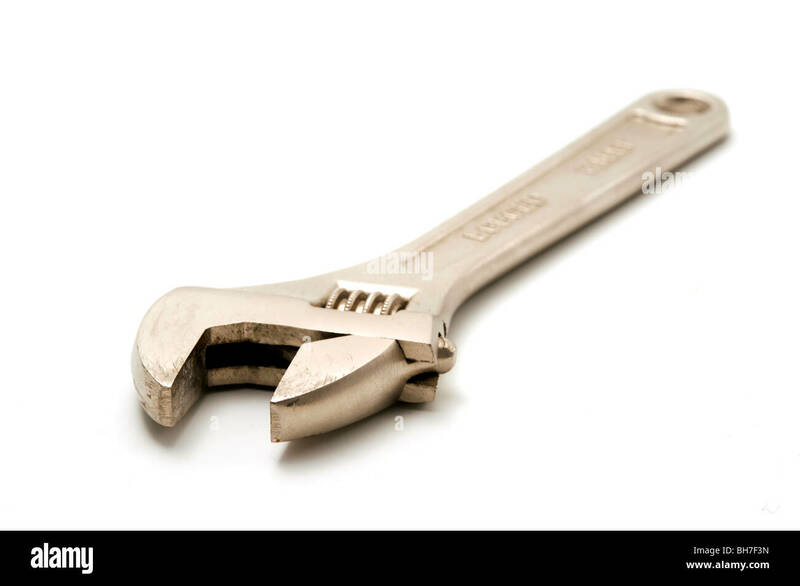 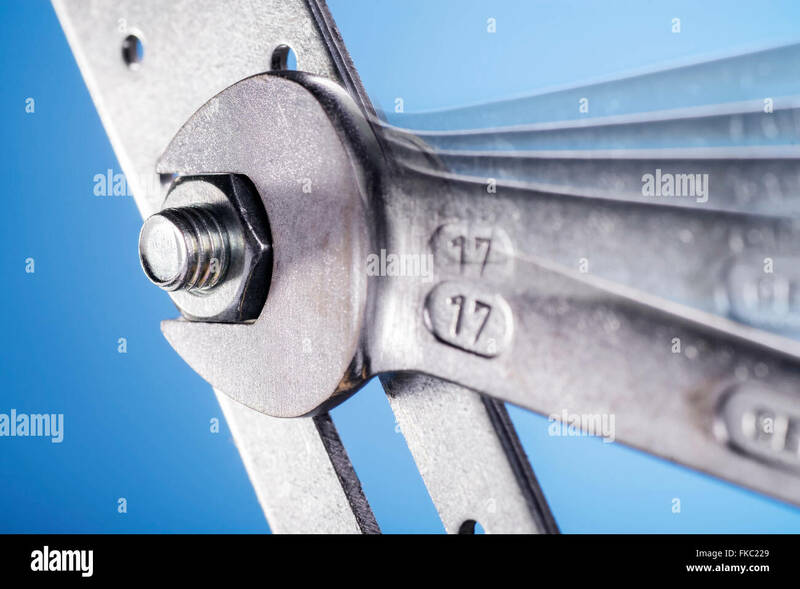 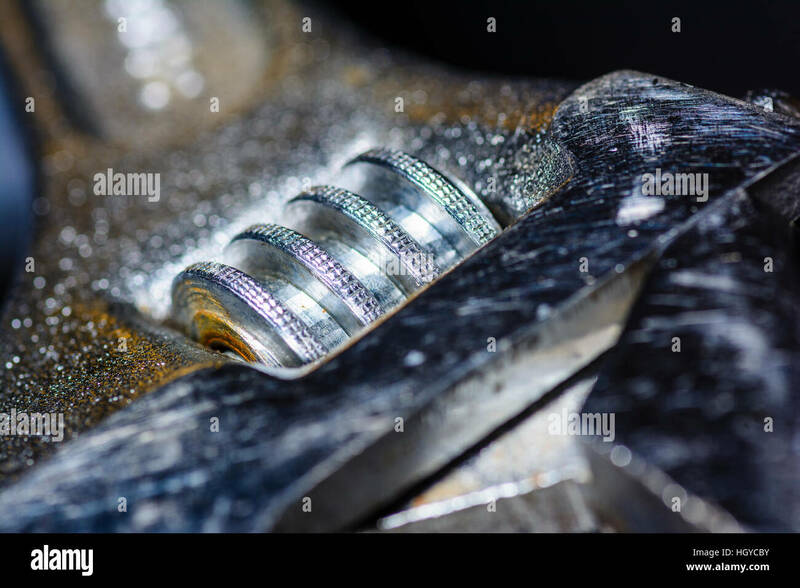 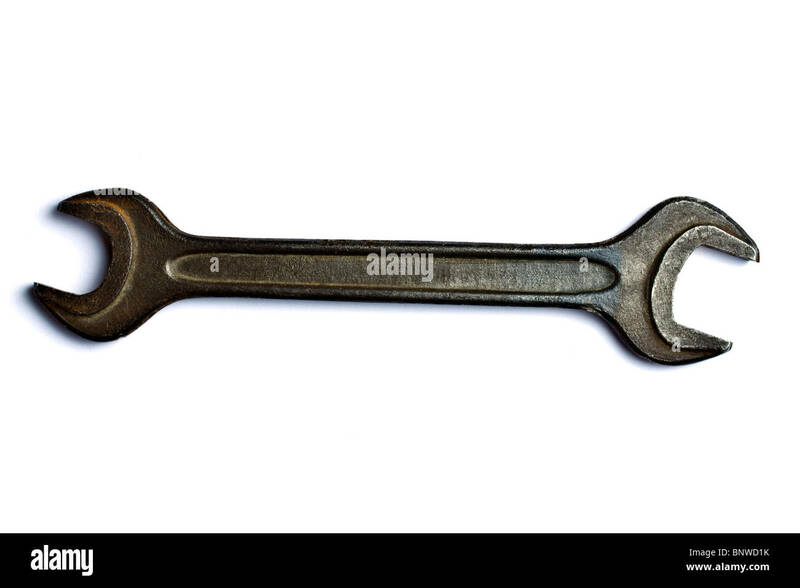 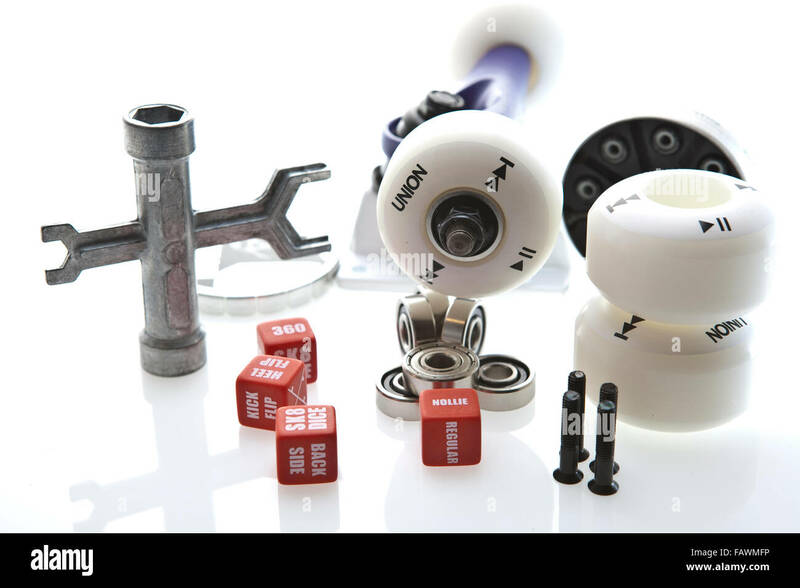 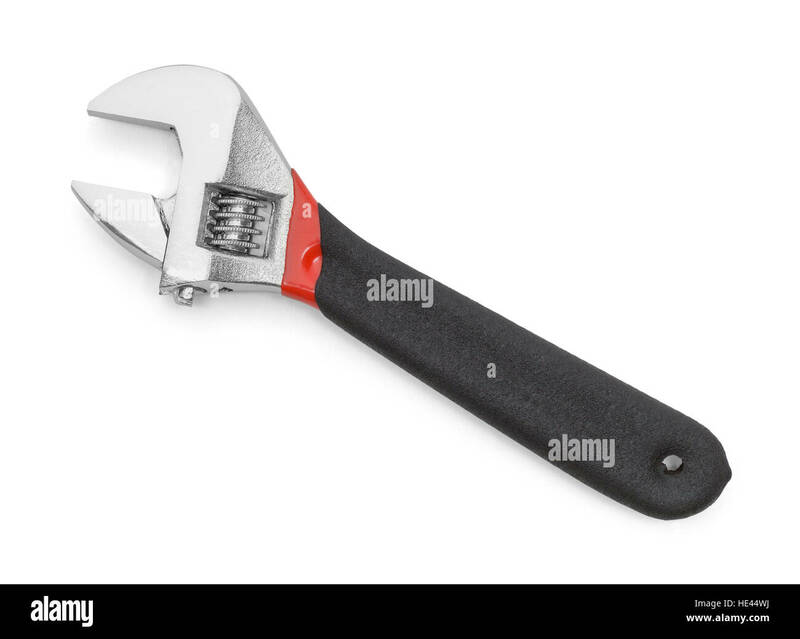 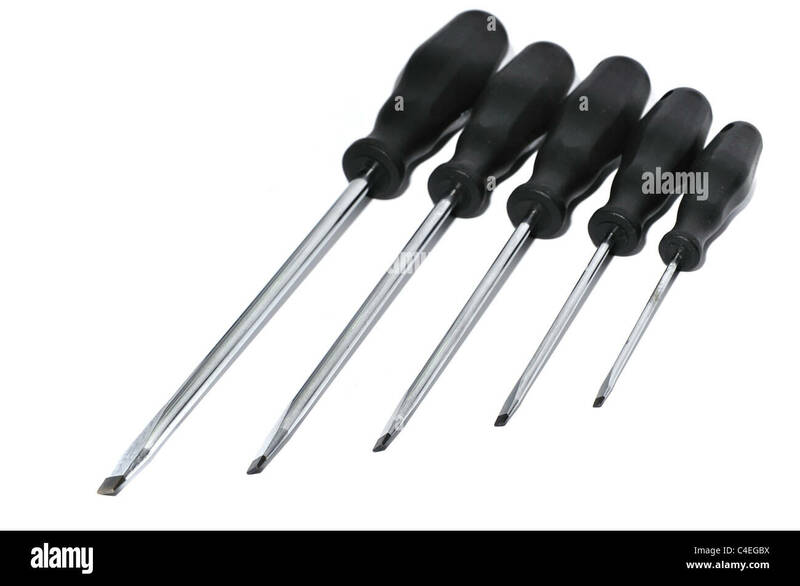 Wrench and Bolt Isolated On White Background. 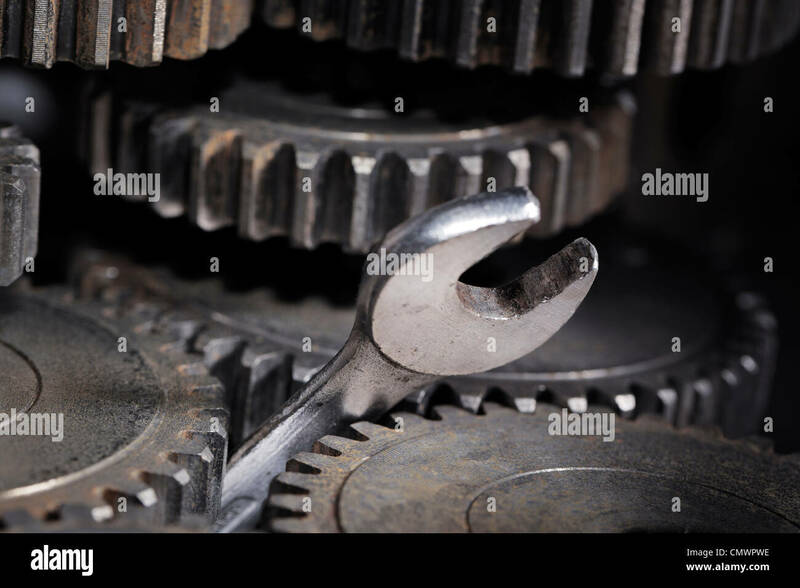 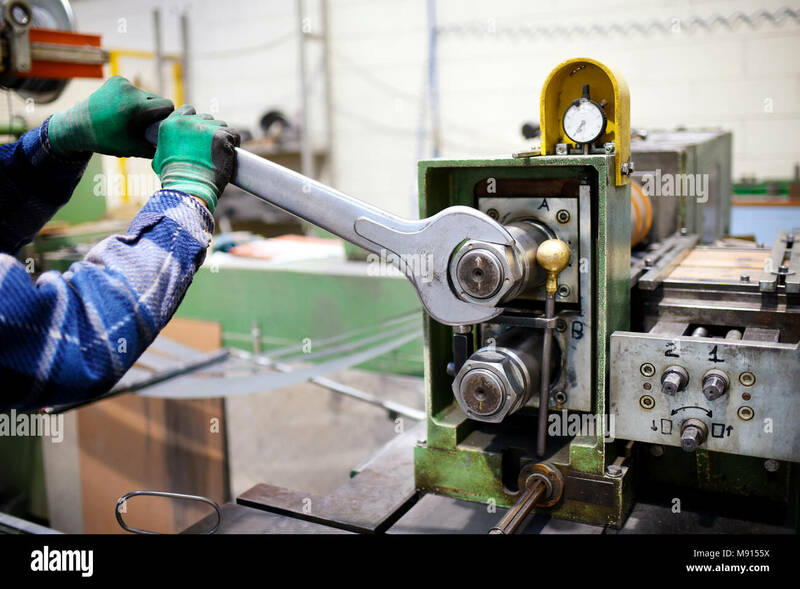 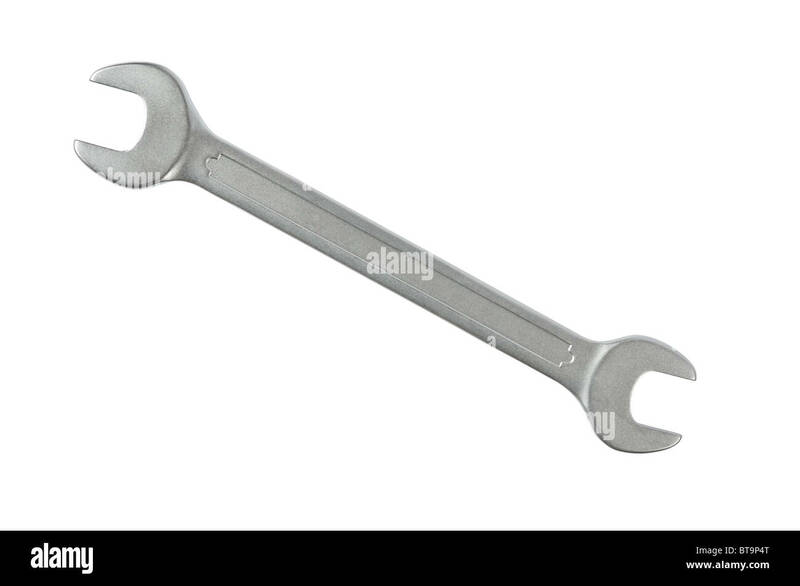 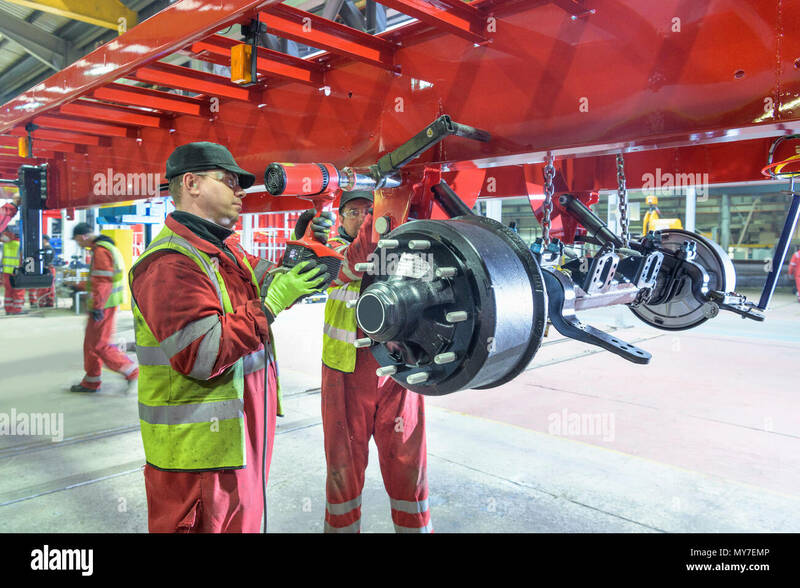 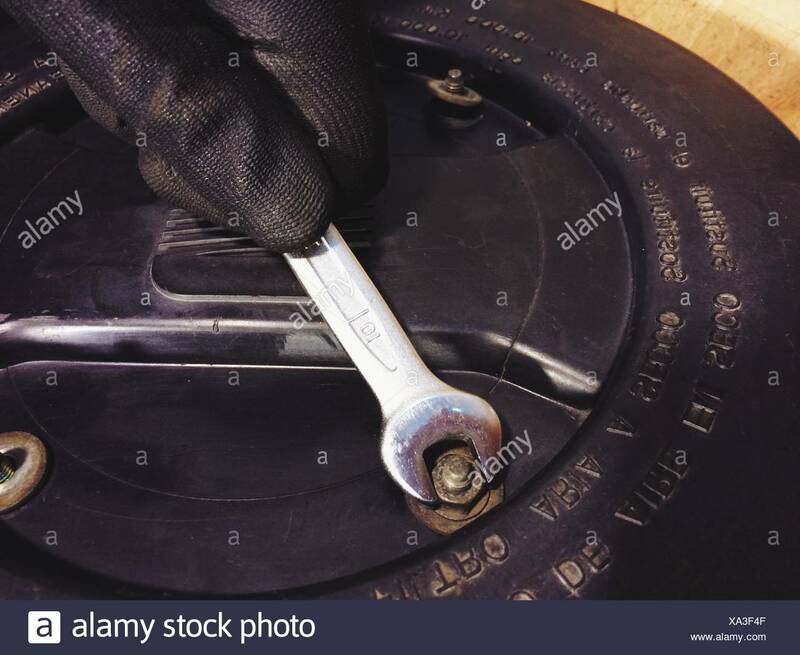 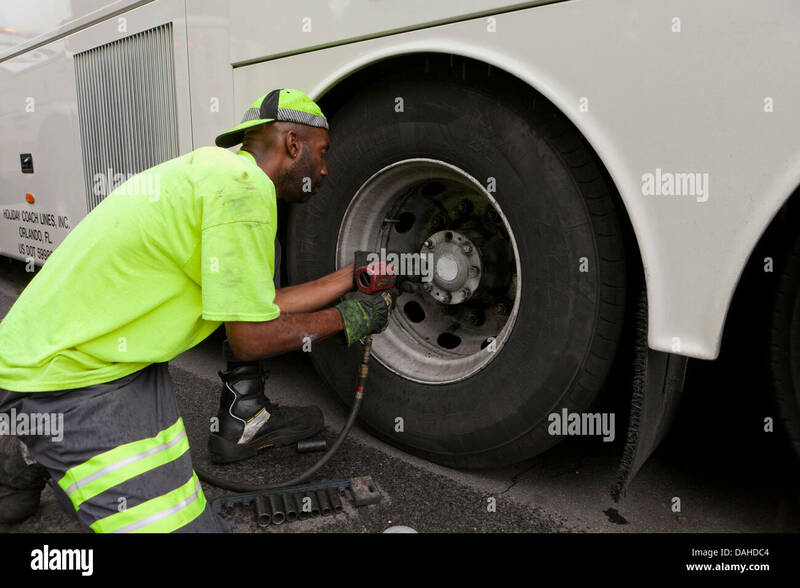 A Spanner Wrench stuck between cog gear wheels. 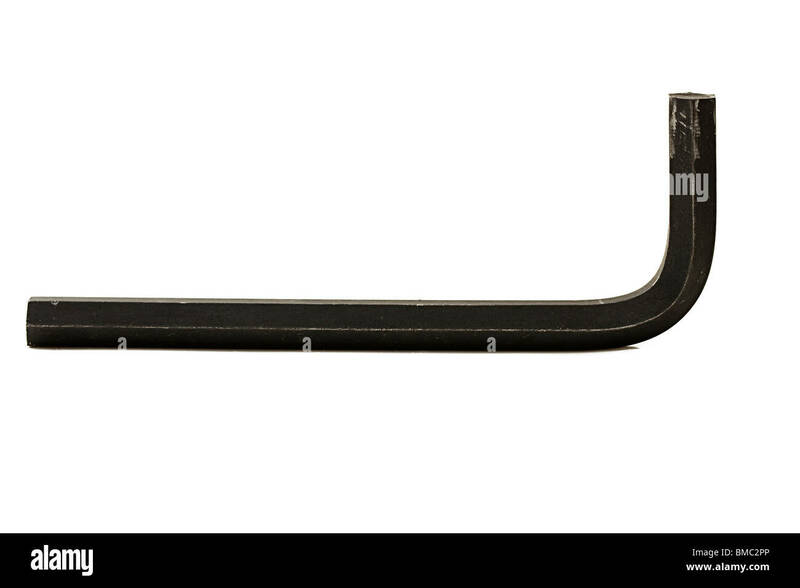 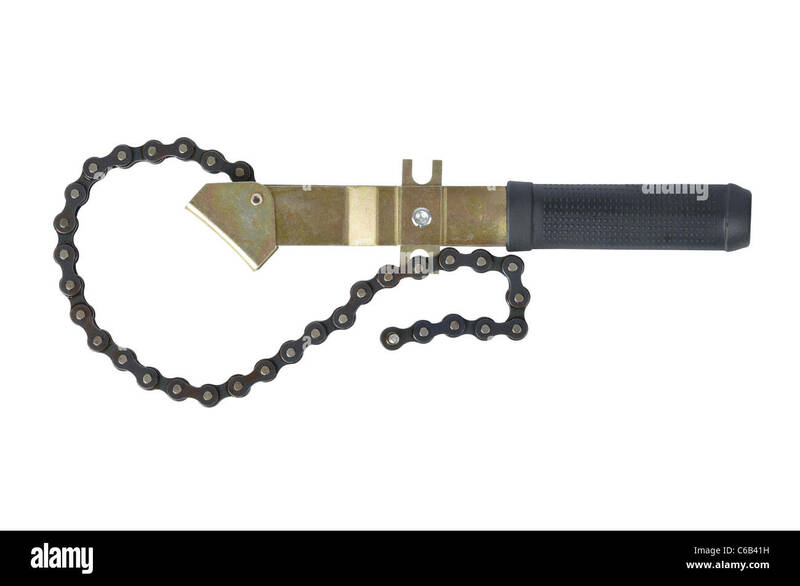 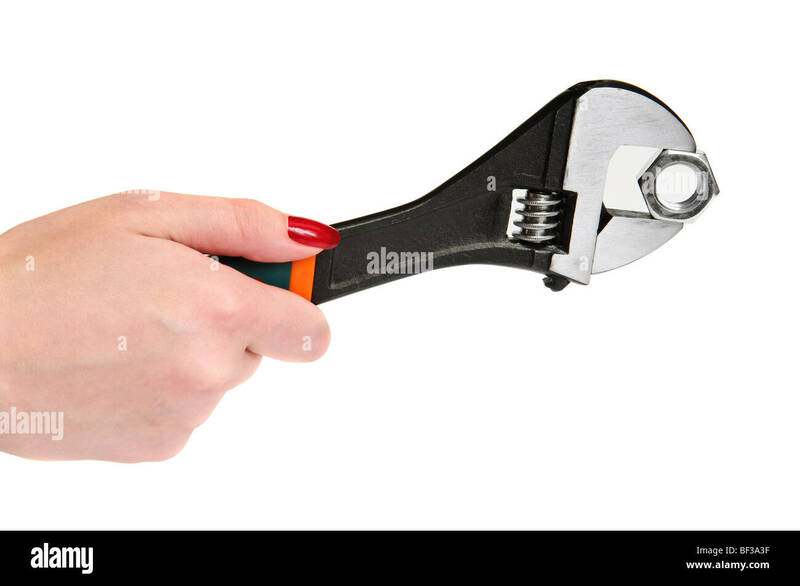 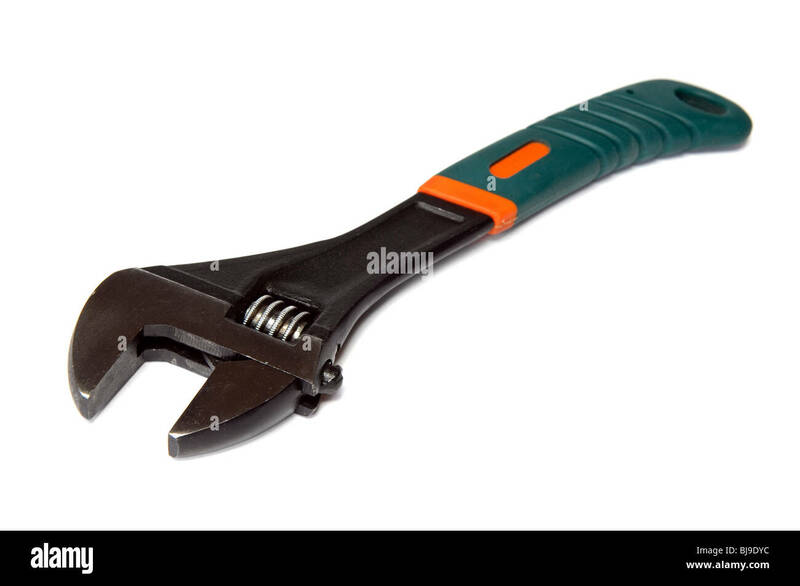 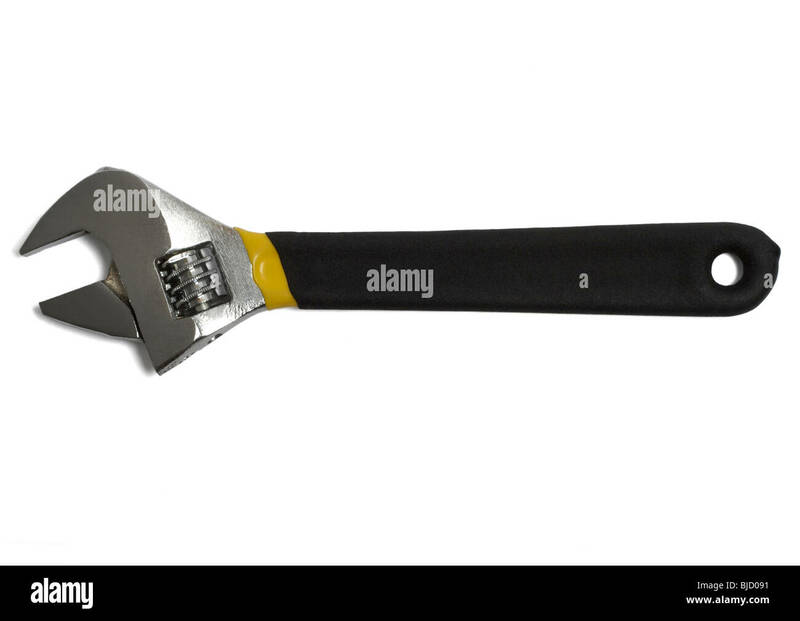 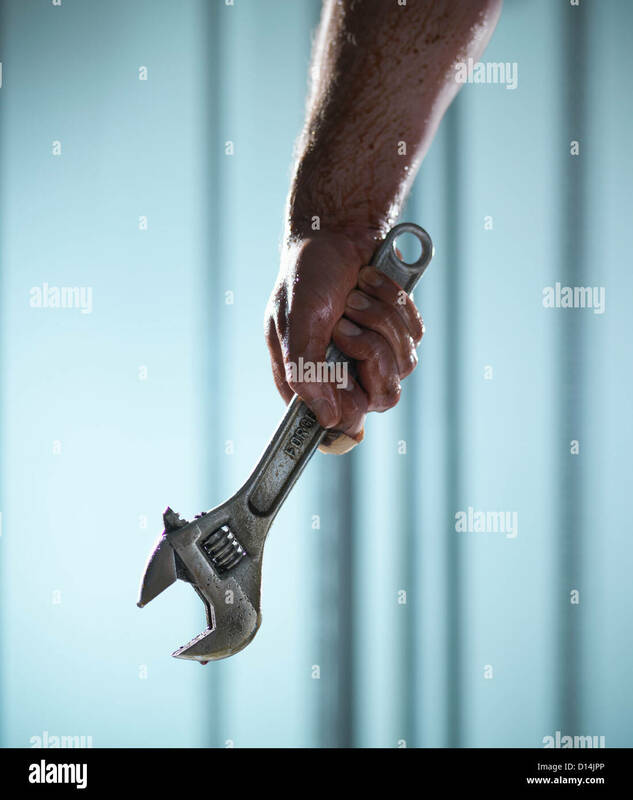 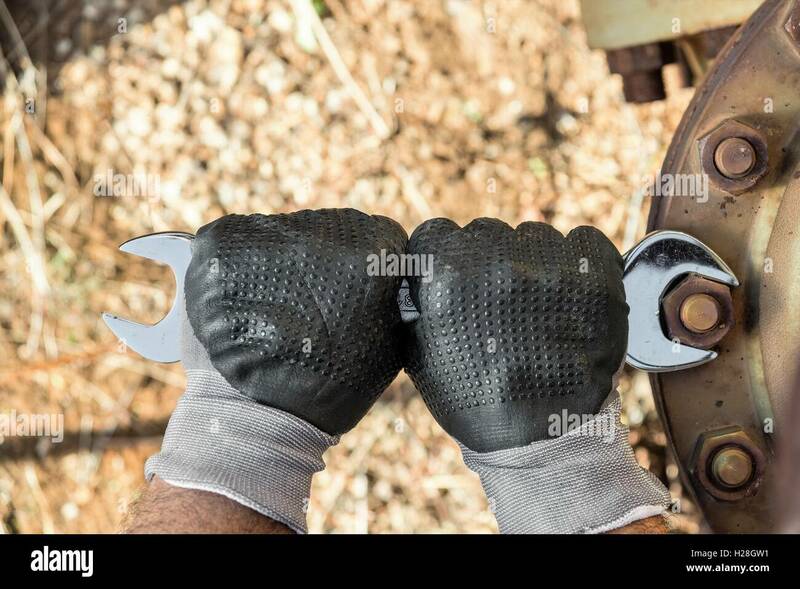 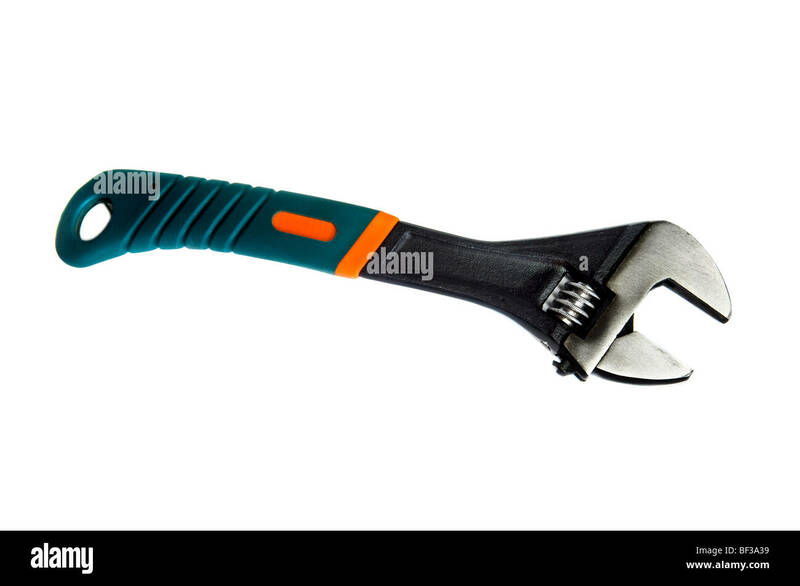 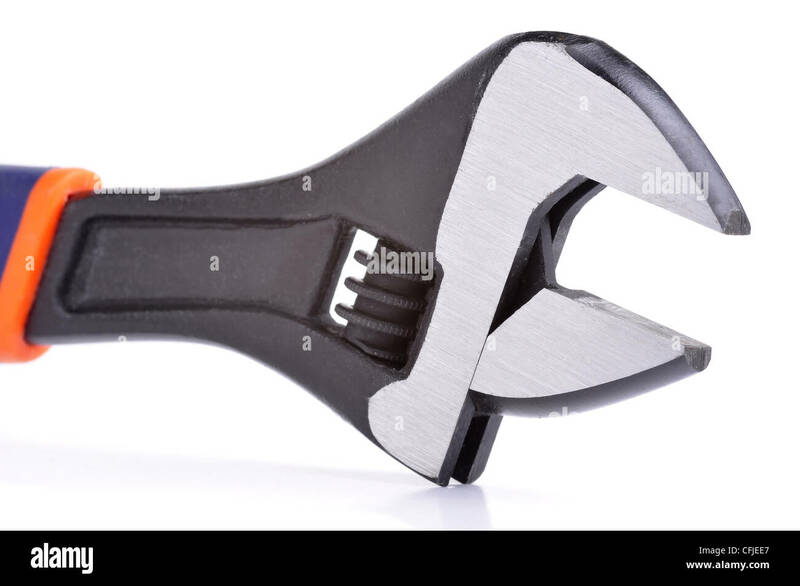 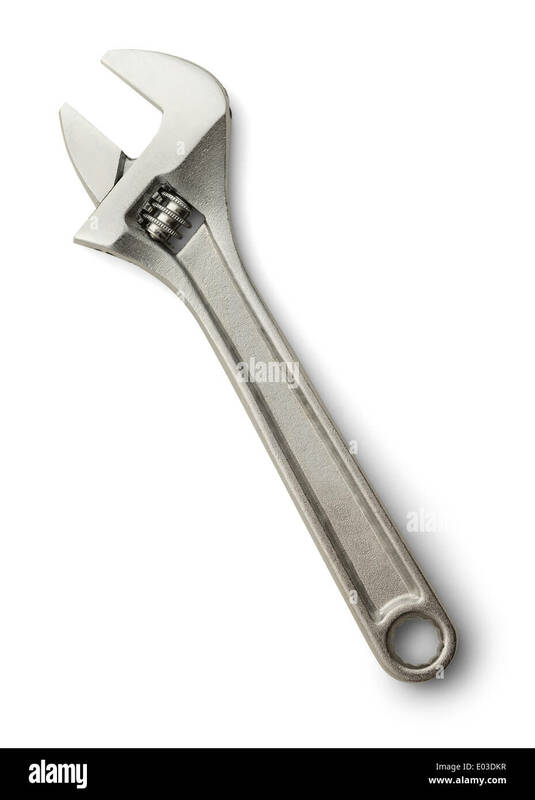 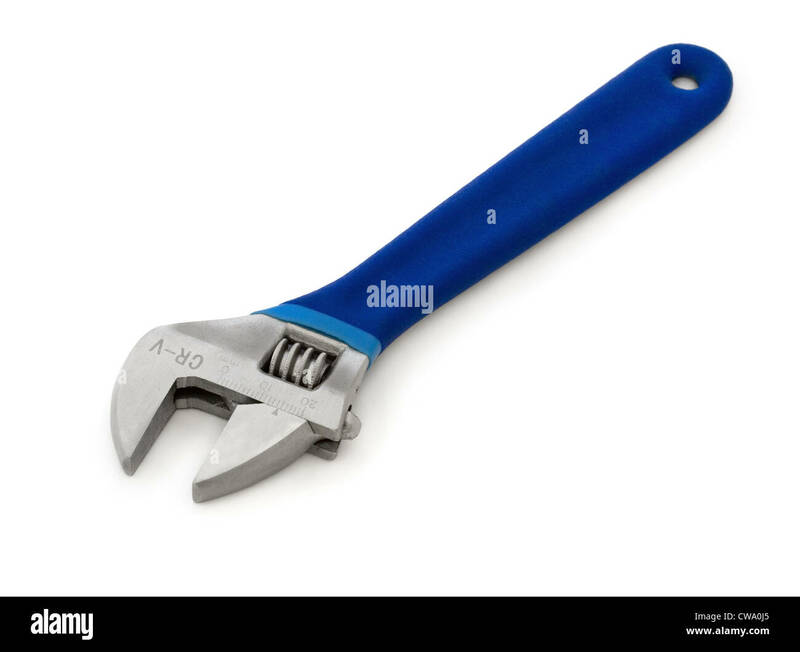 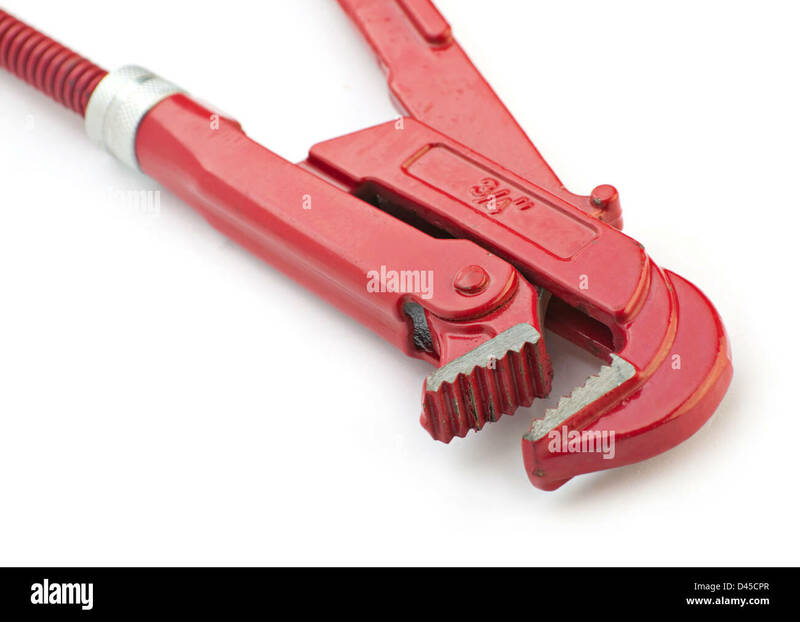 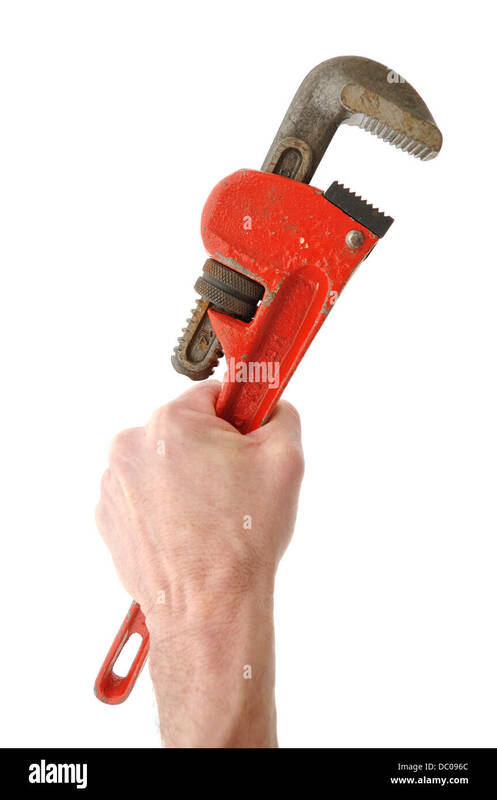 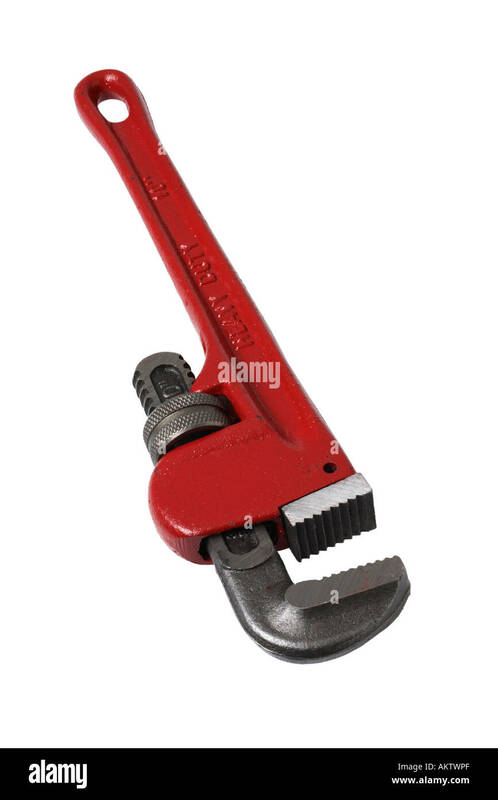 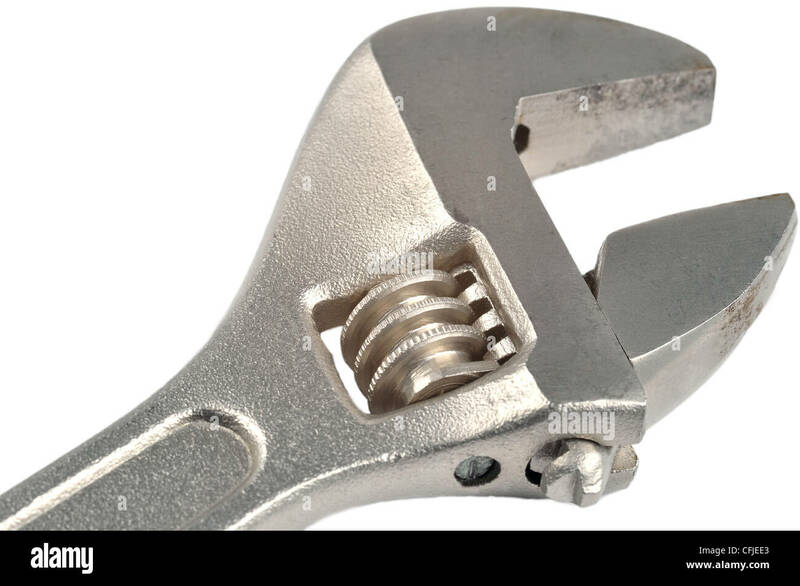 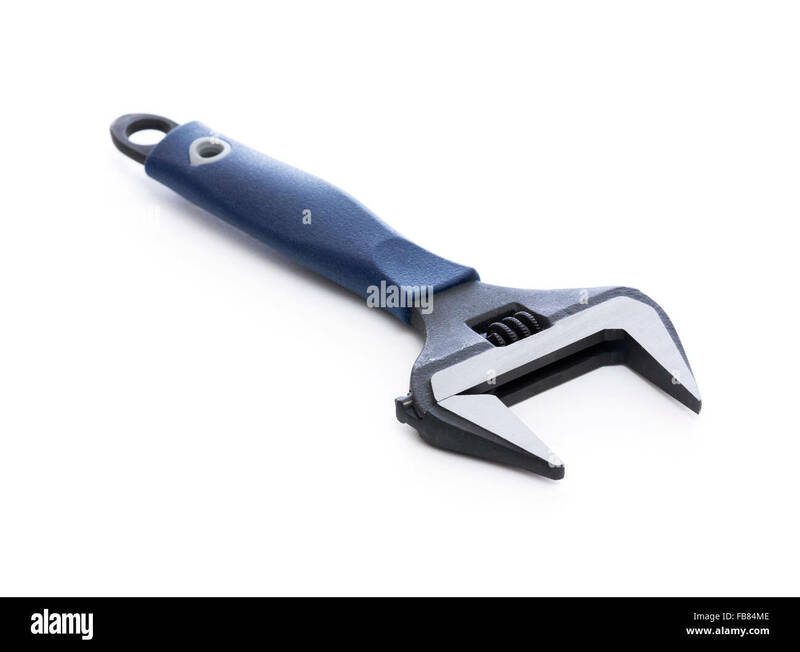 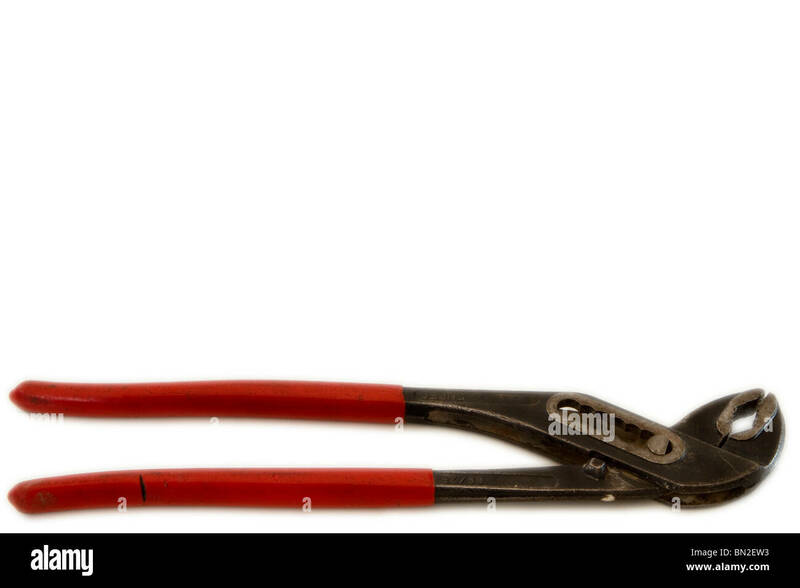 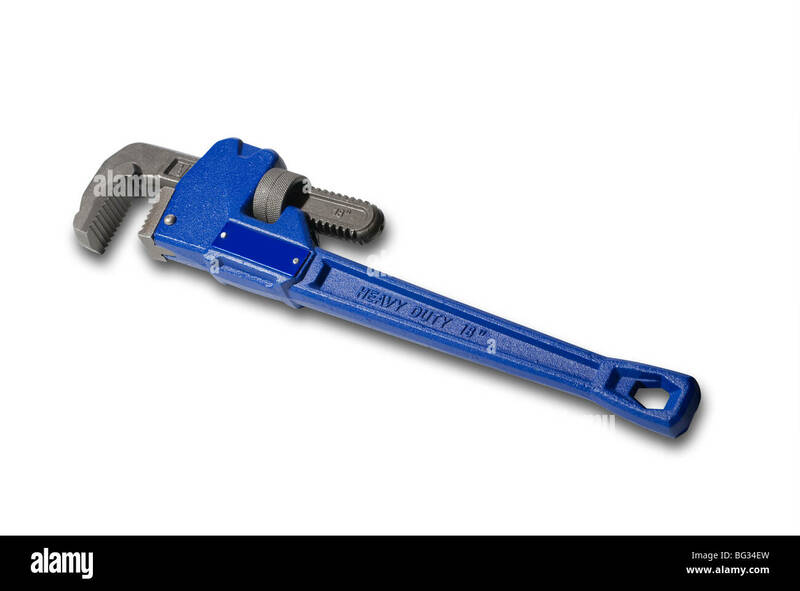 Adjustable Wrench with Grip Isolated on White Background. 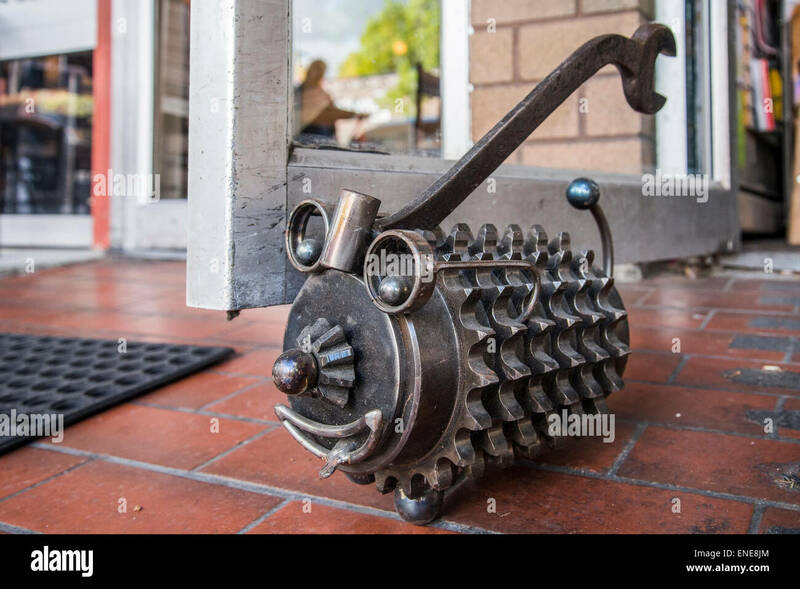 Catlike metal doorstop made of a wrench and gears. 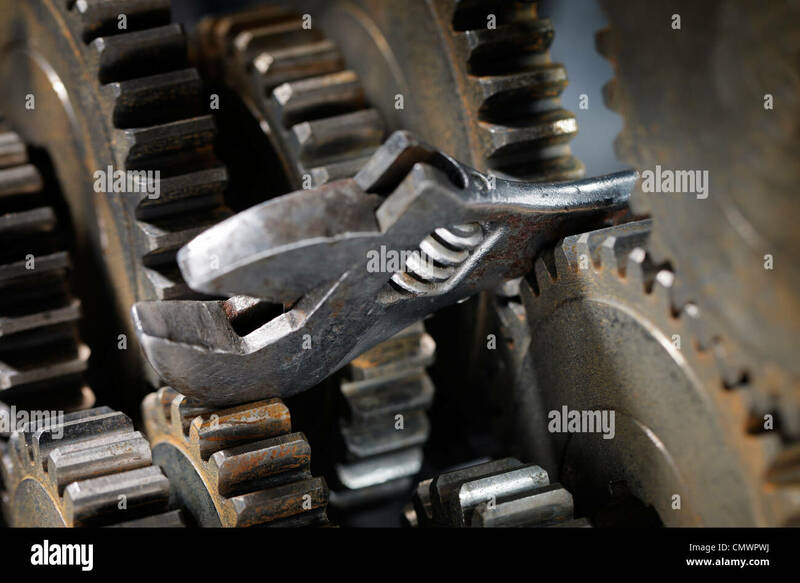 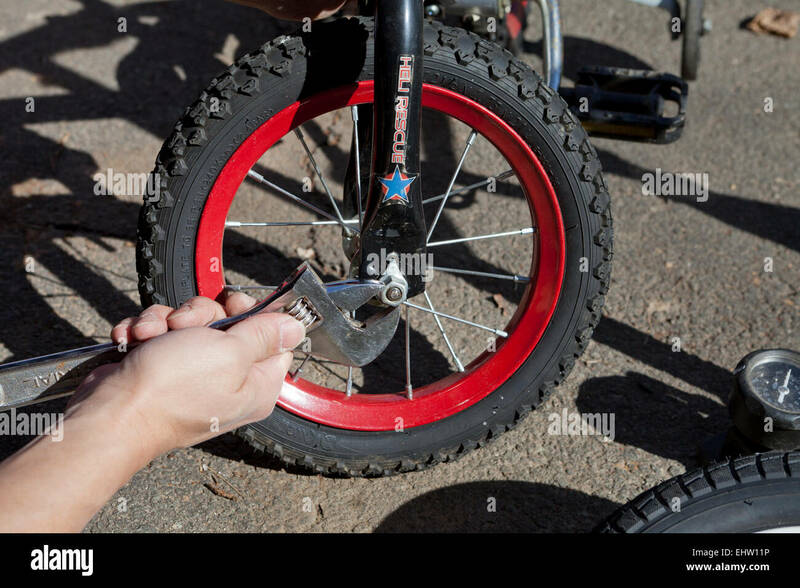 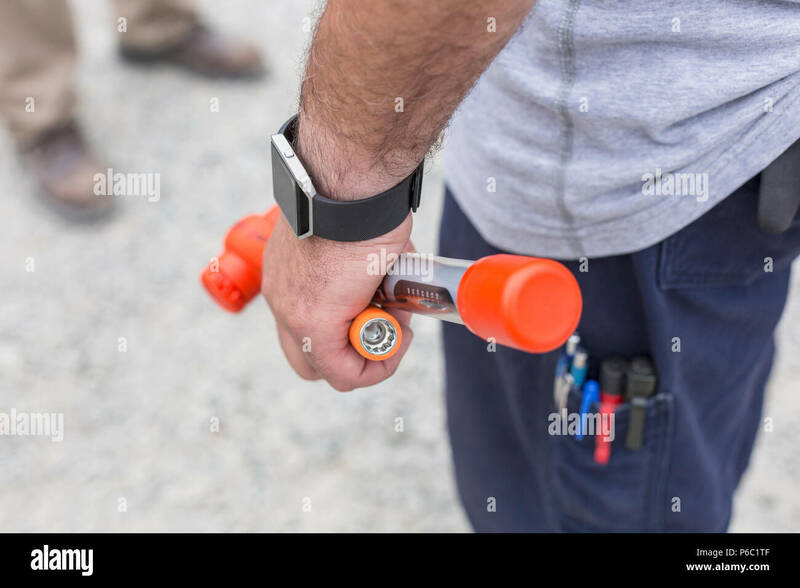 Adjustble wrench stuck between cog gear wheels. 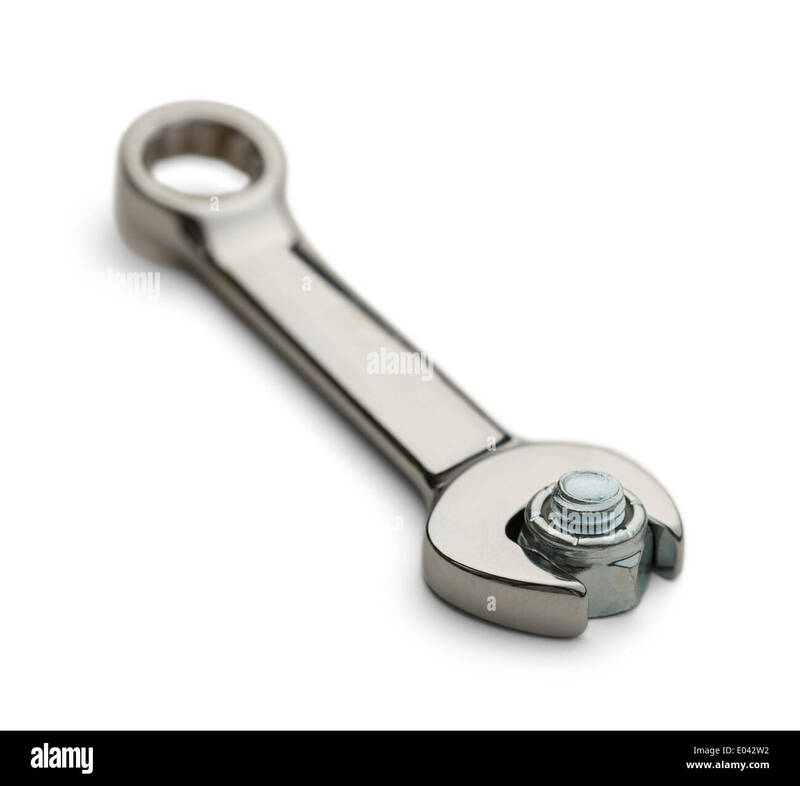 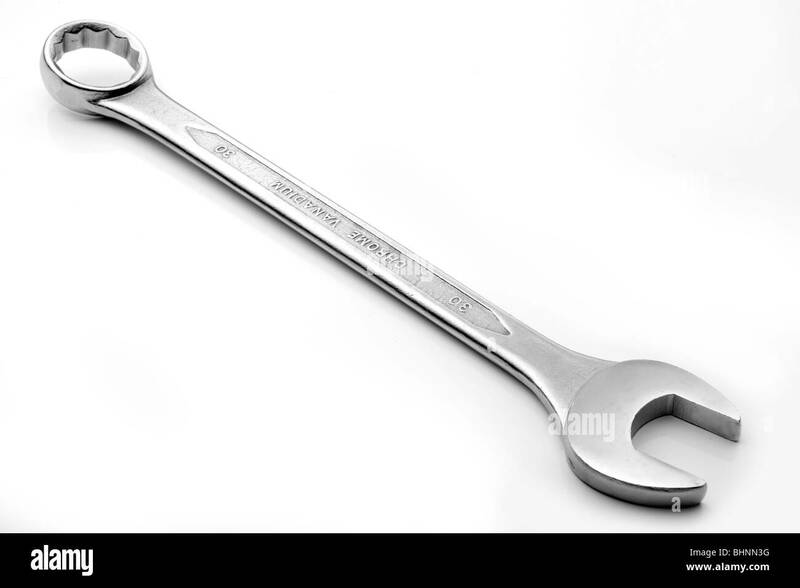 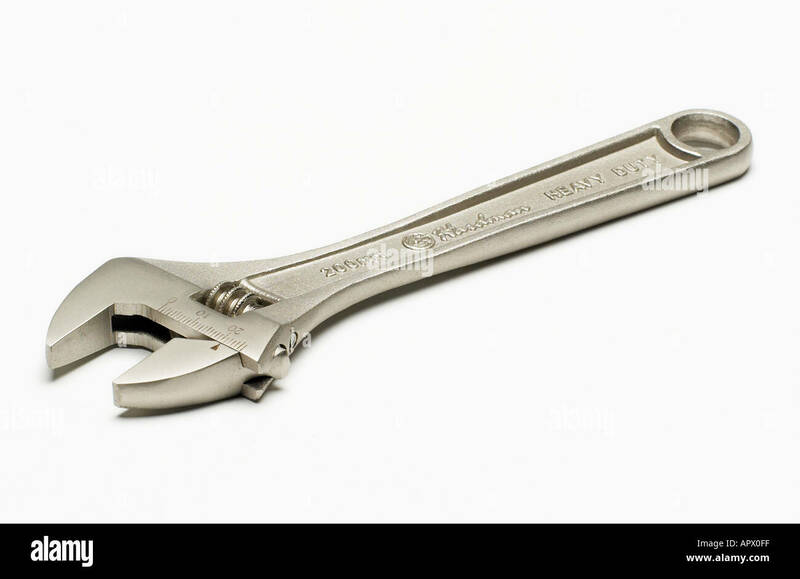 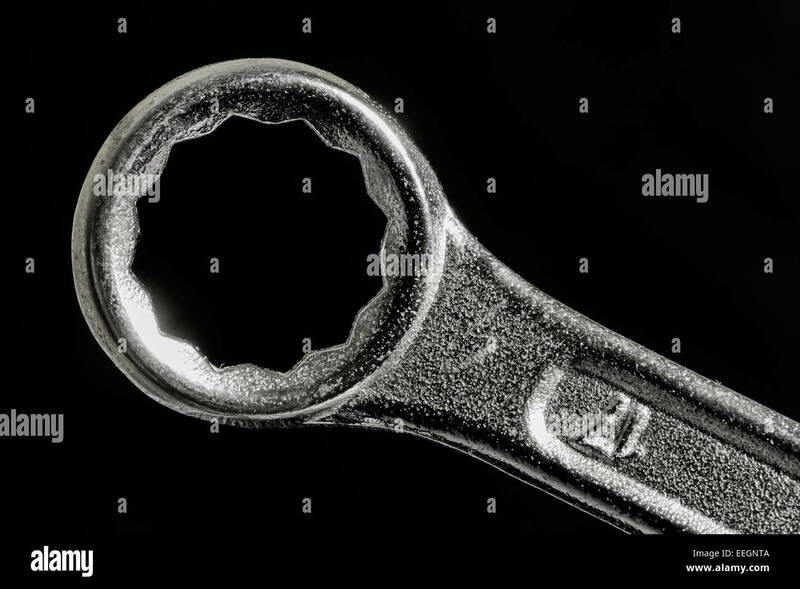 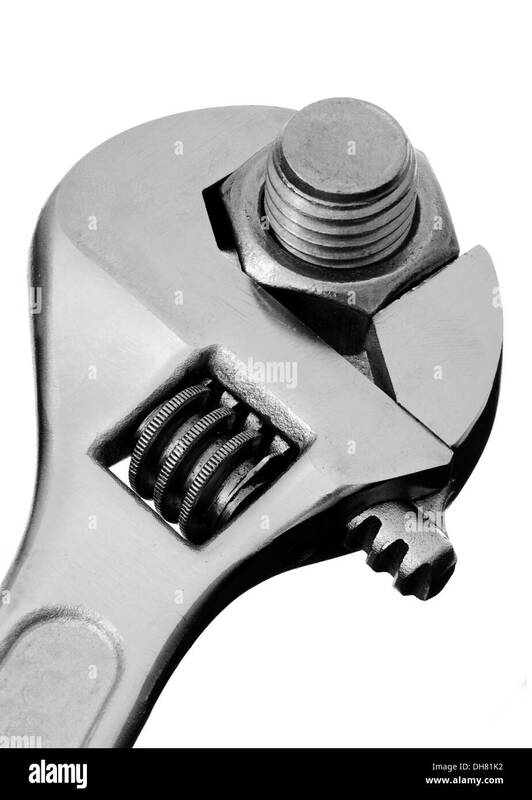 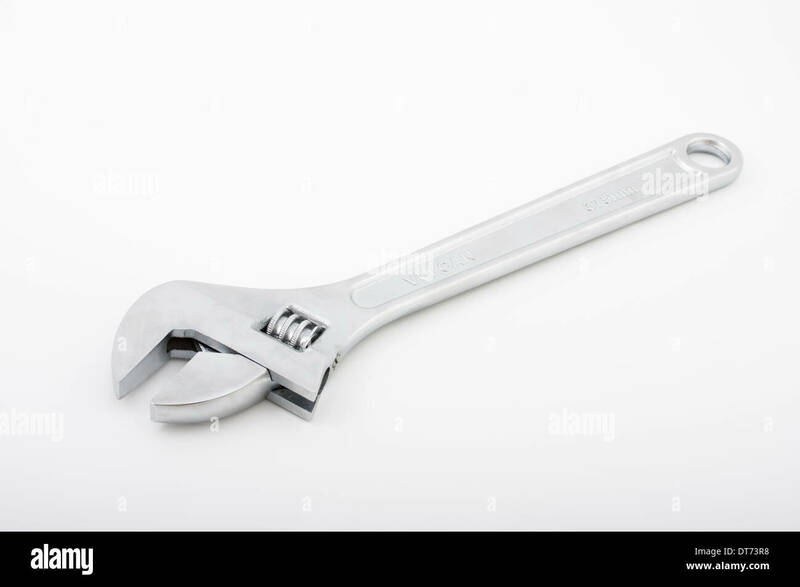 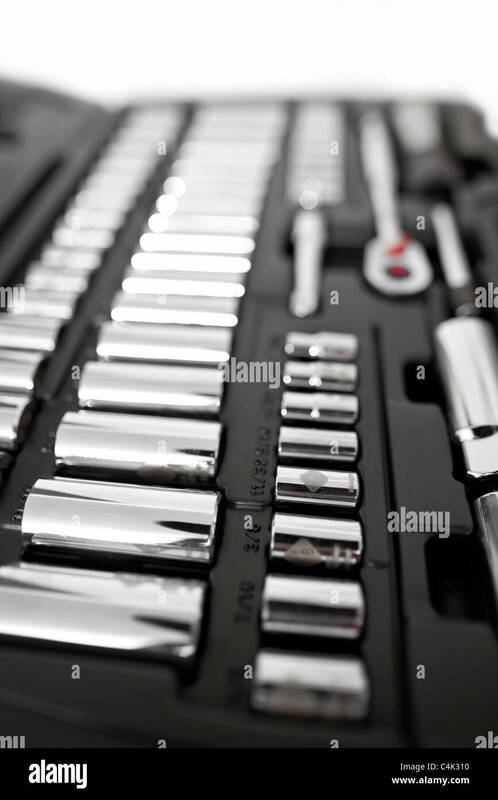 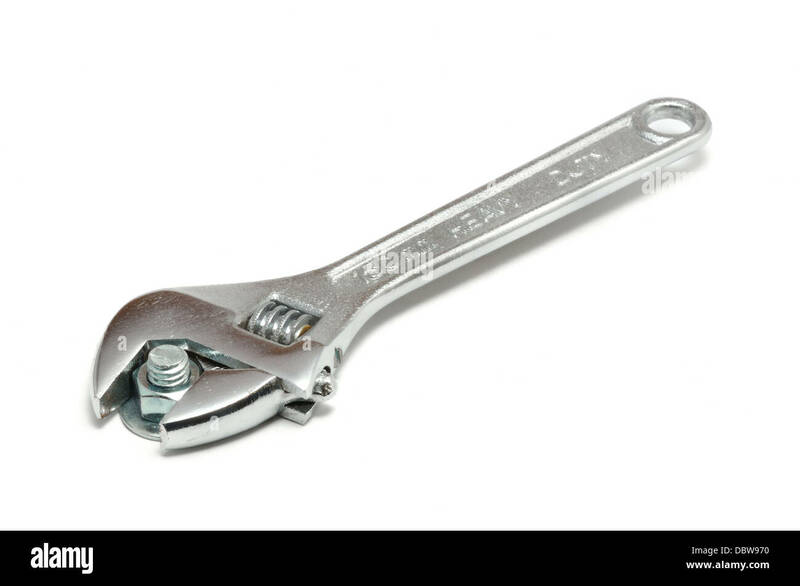 Chrome Cresent Wrench Isolated On White Background. 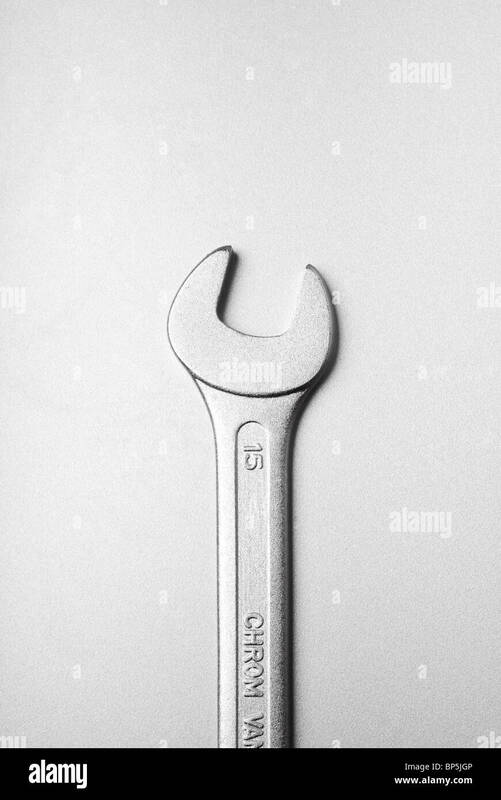 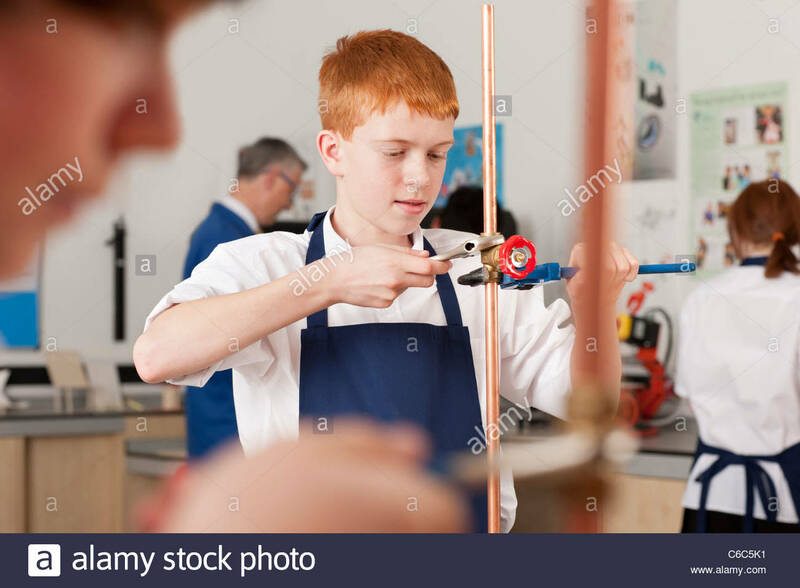 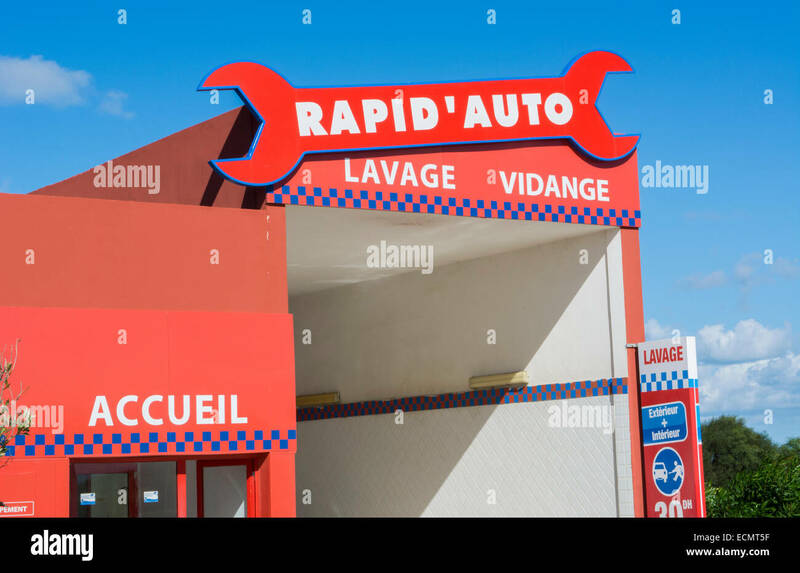 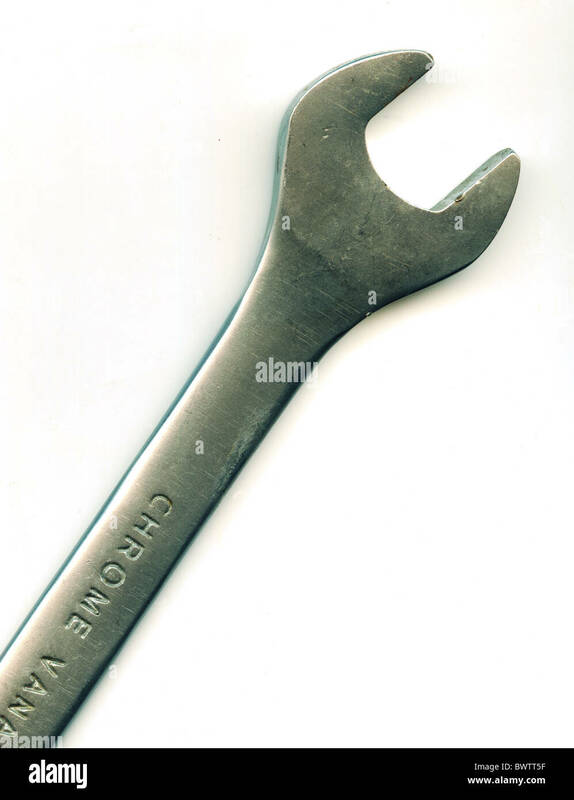 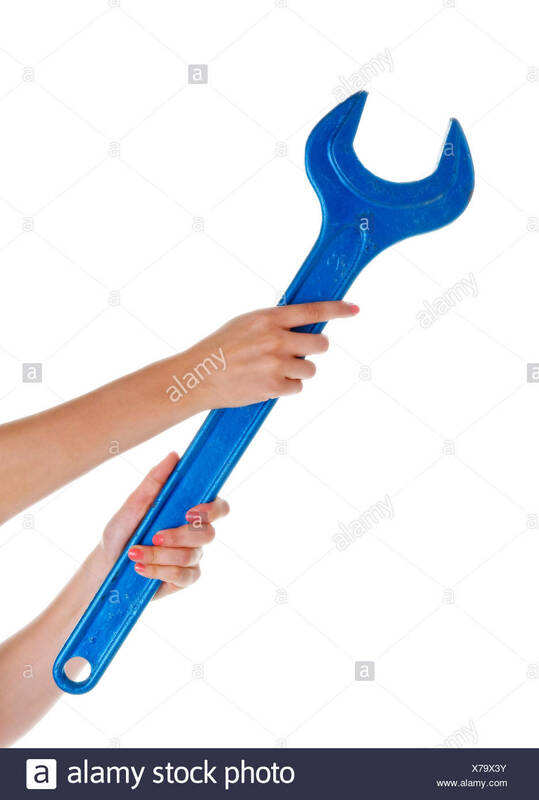 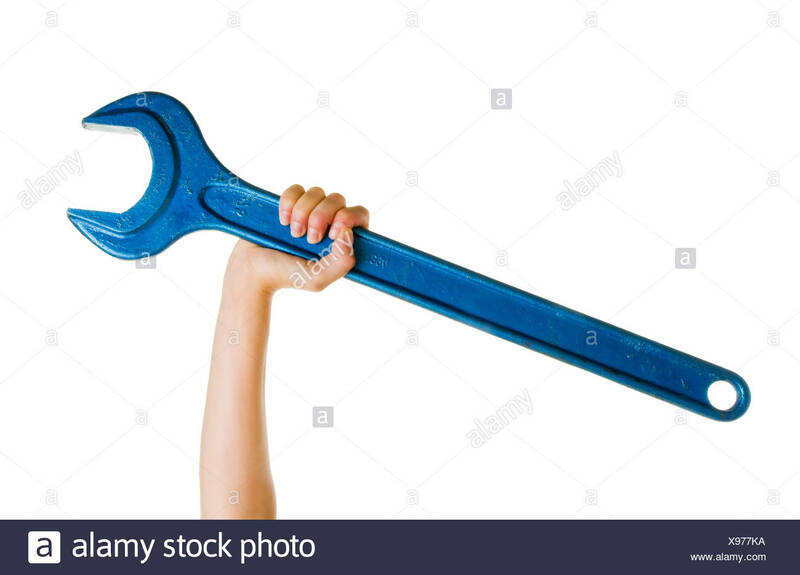 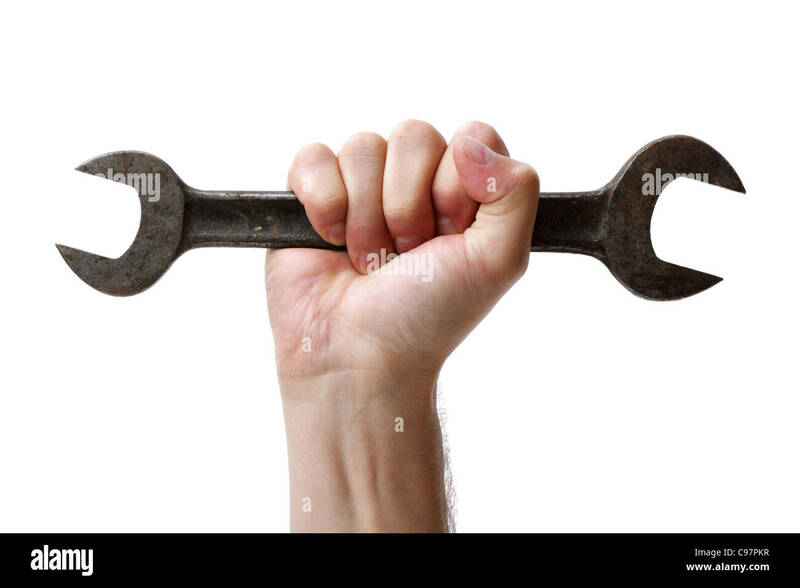 The ring end of a a spanner wrench. 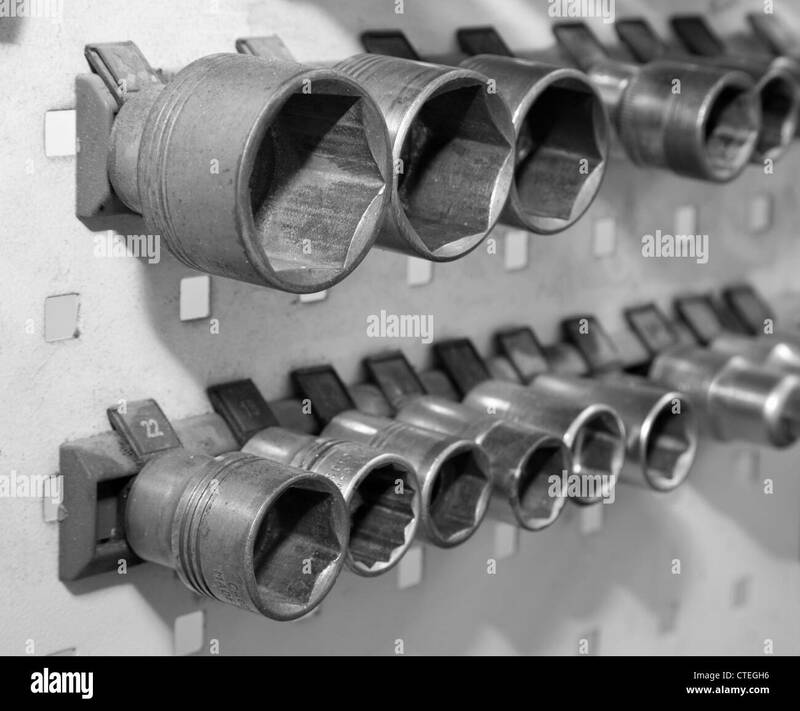 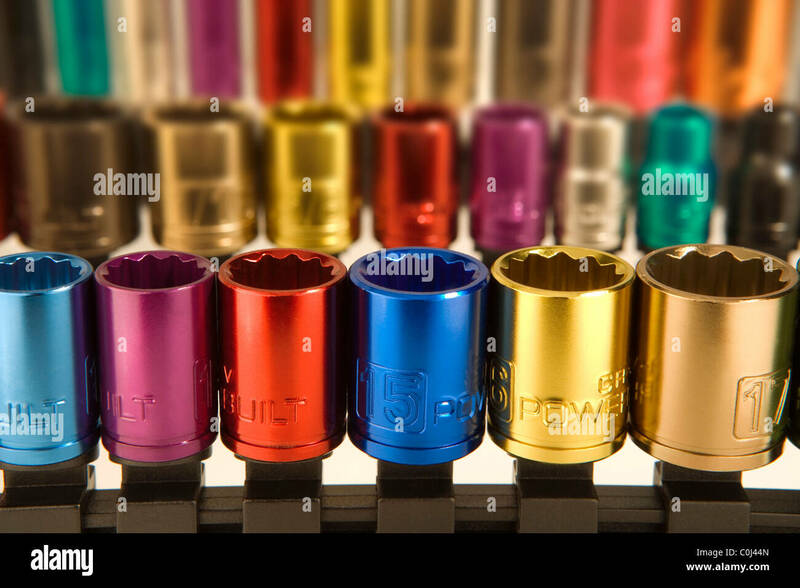 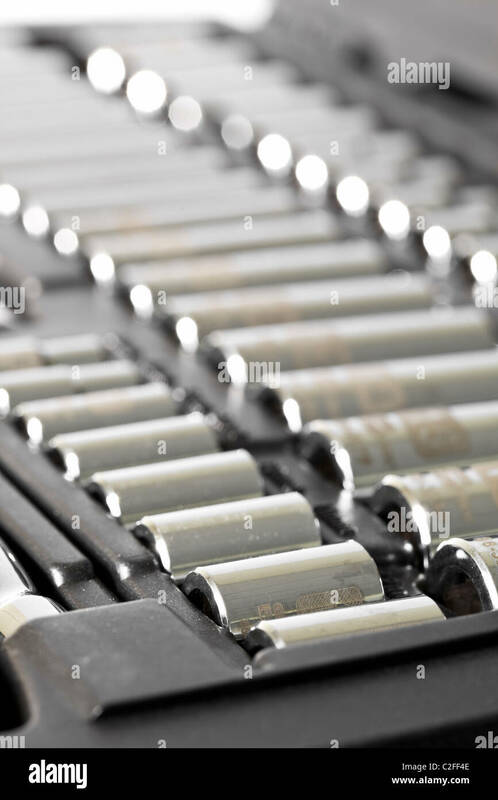 Socket wrench set in case, close up. 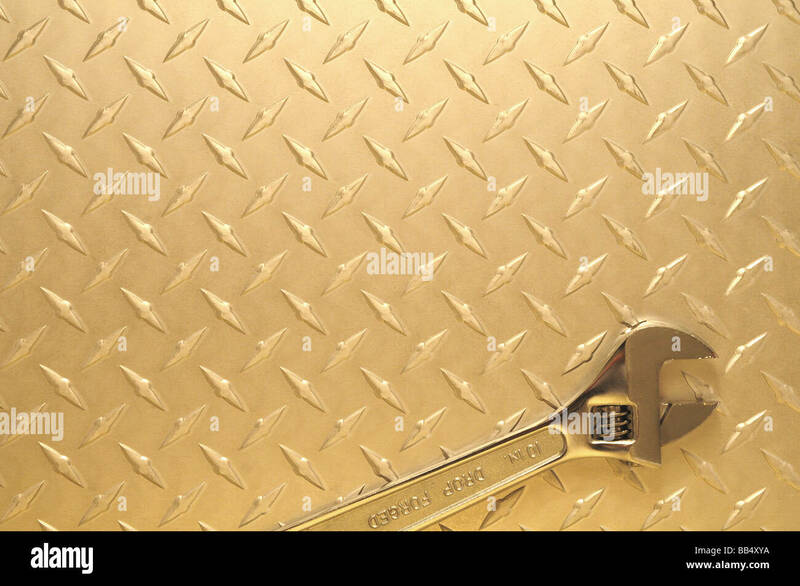 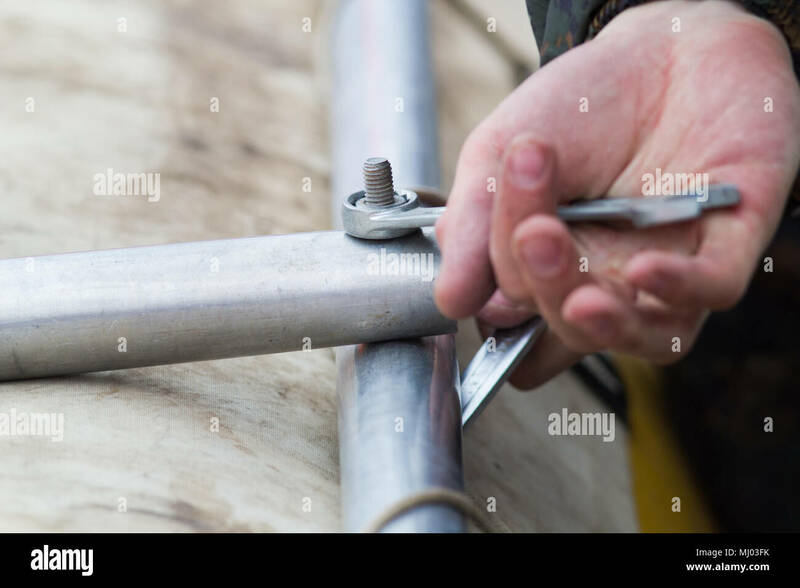 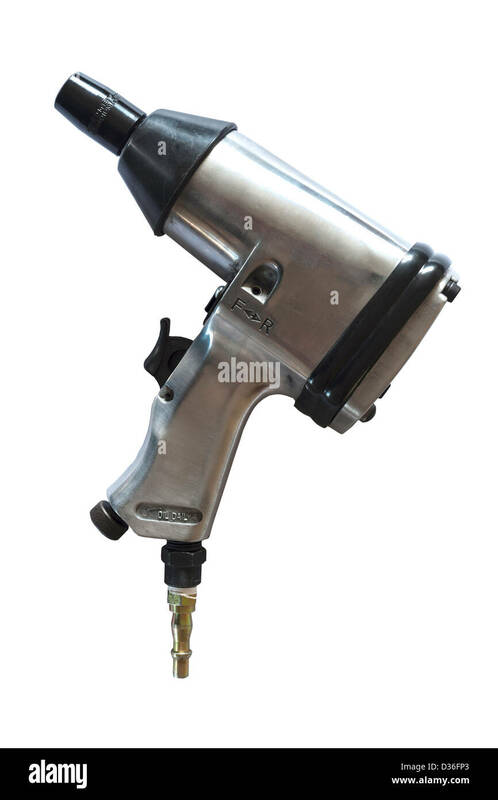 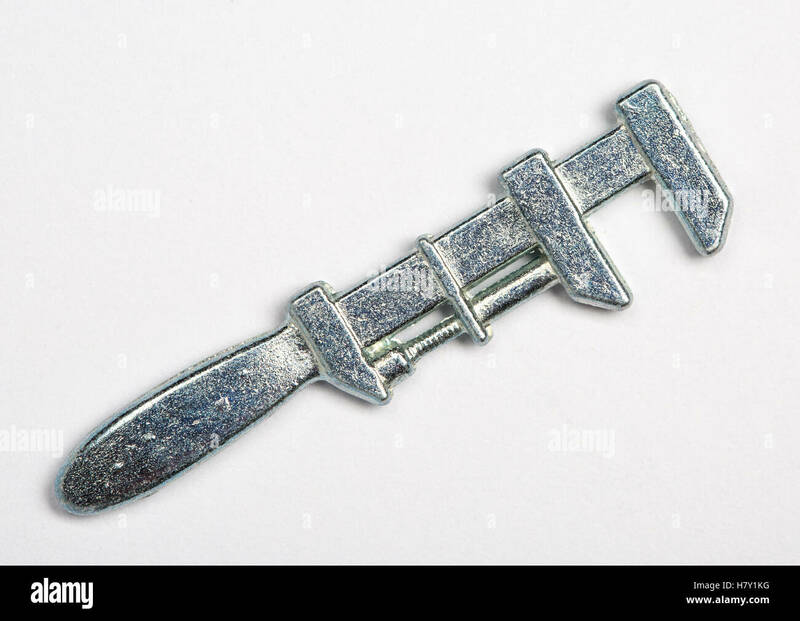 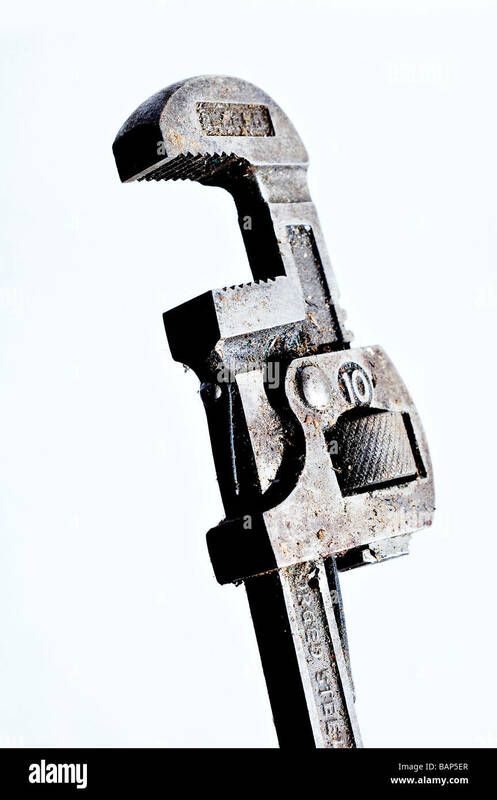 Silver Metal Monkey Wrench Isolated On White Background.